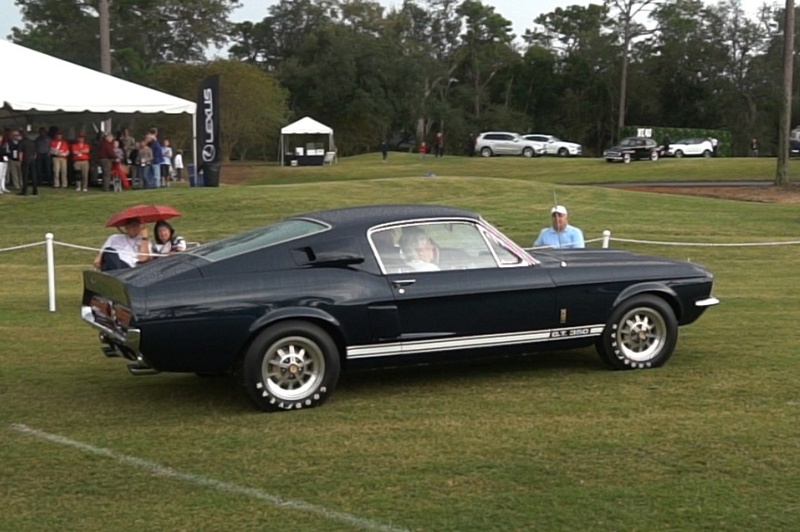 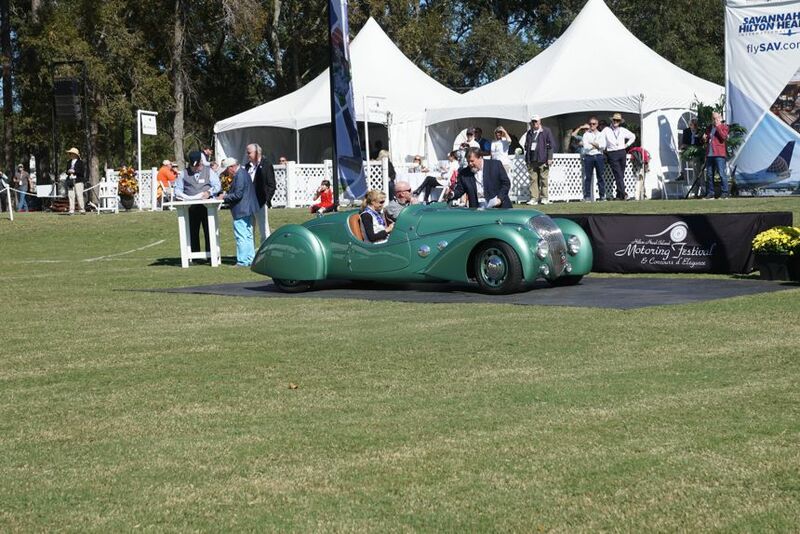 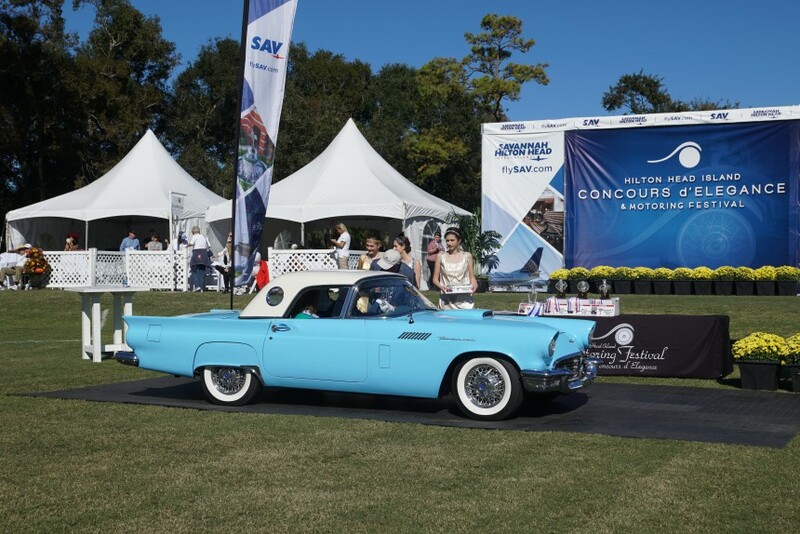 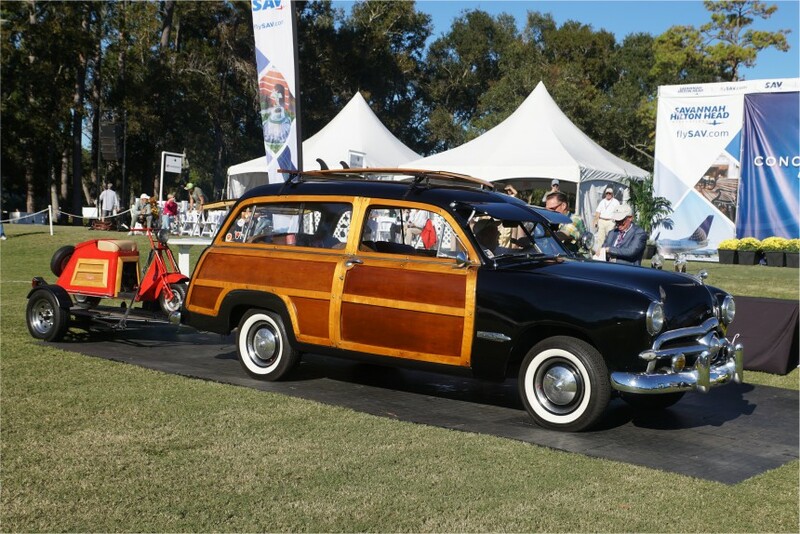 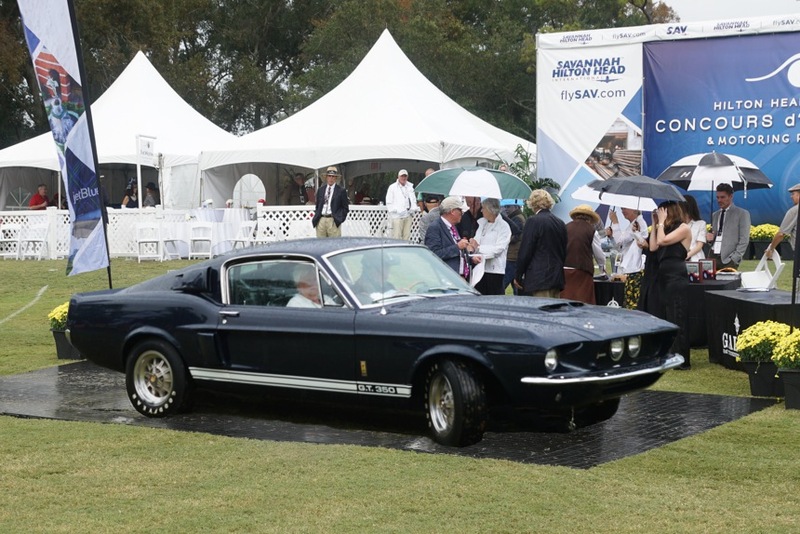 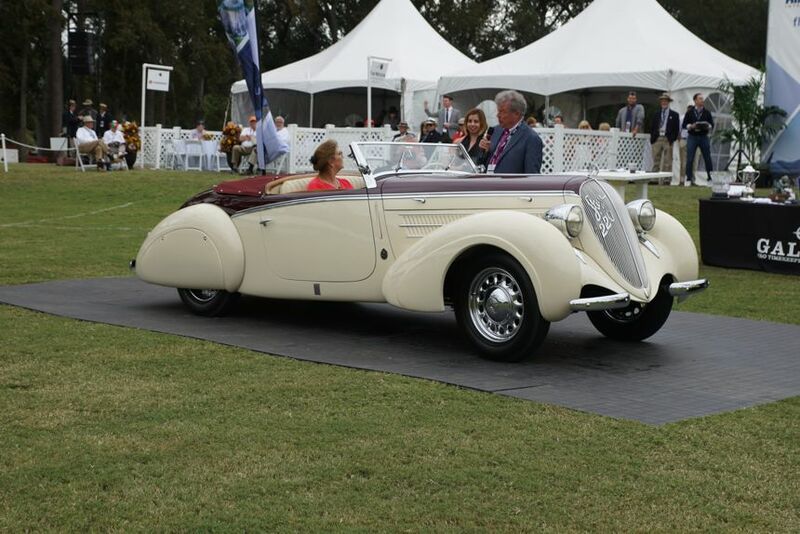 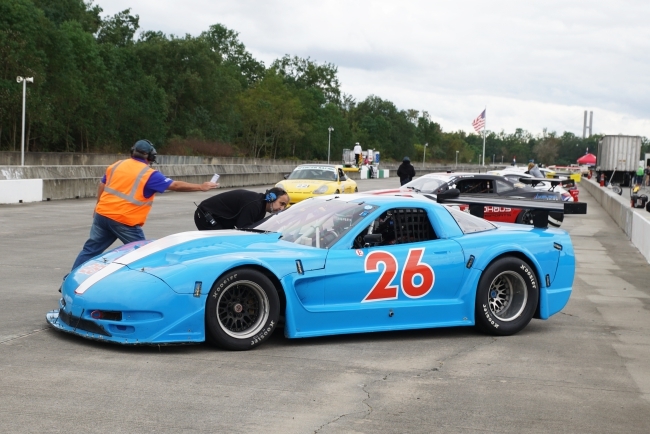 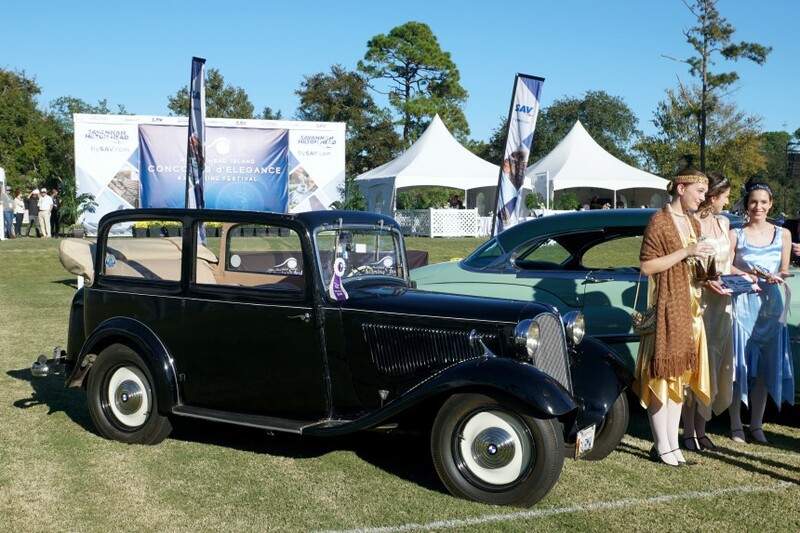 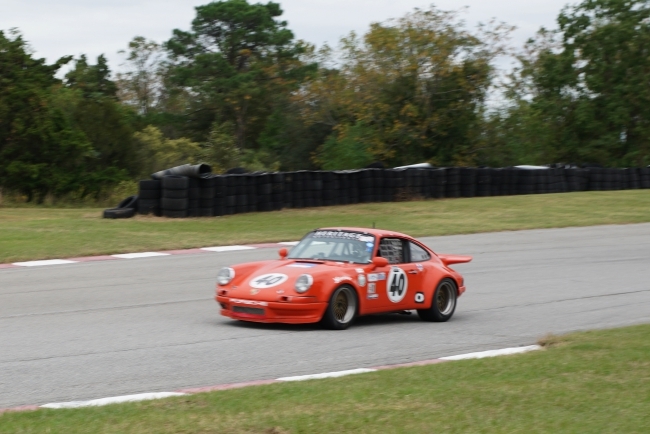 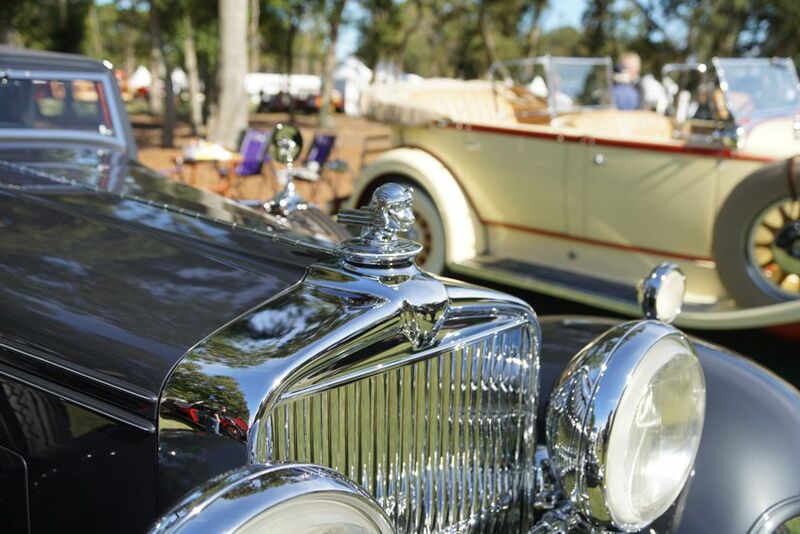 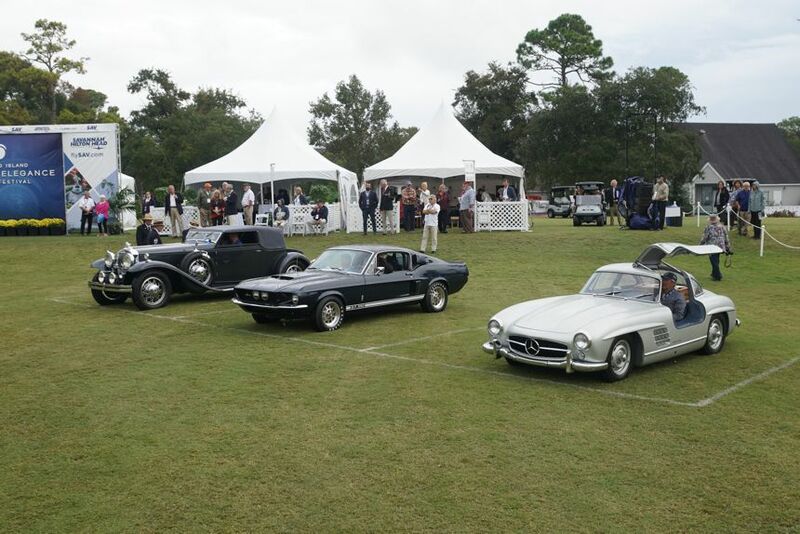 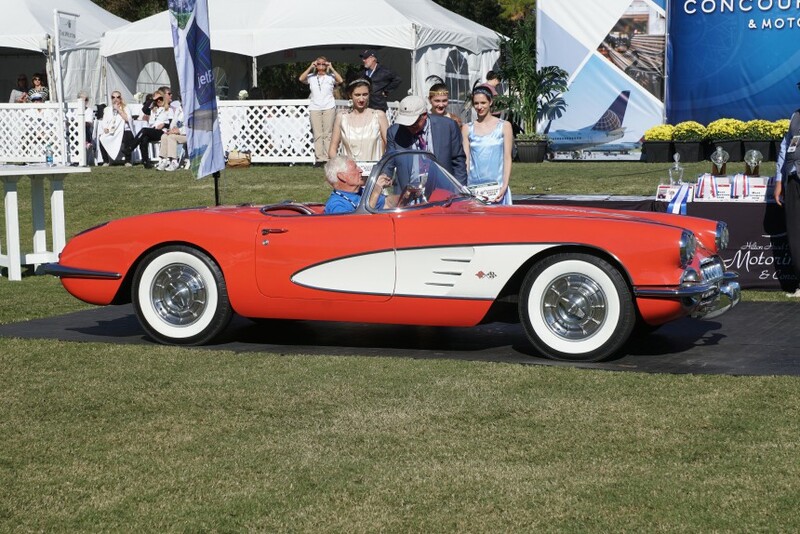 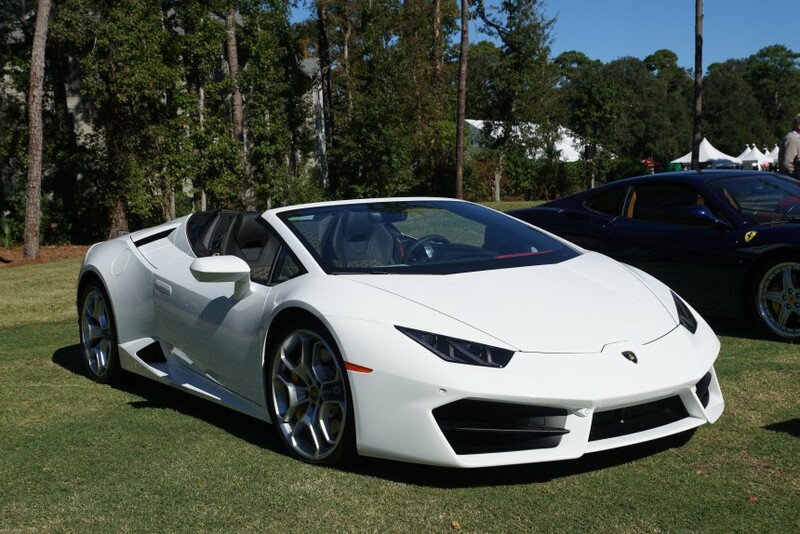 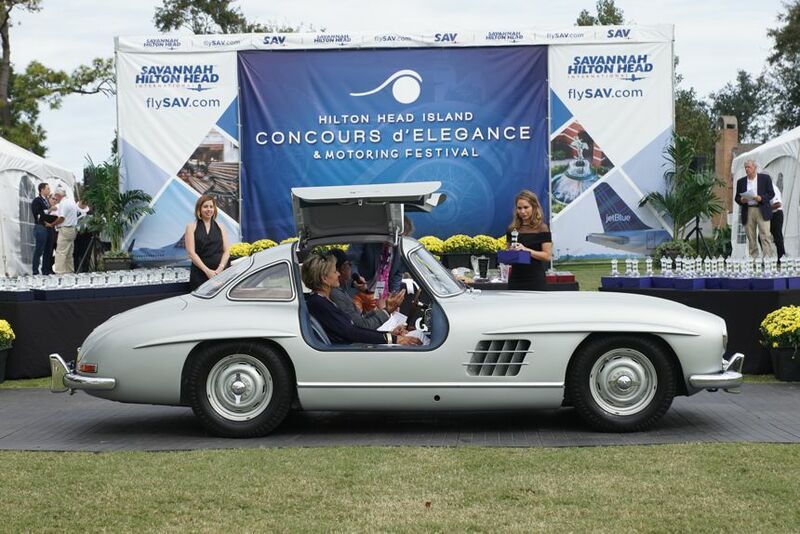 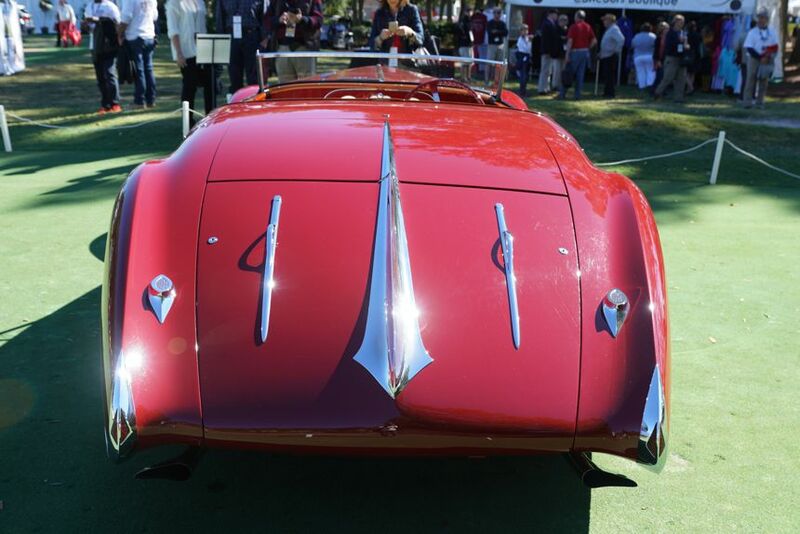 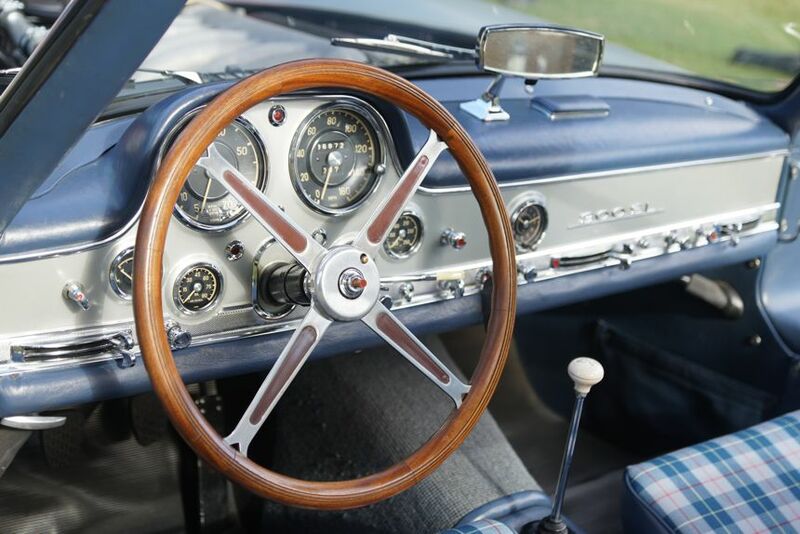 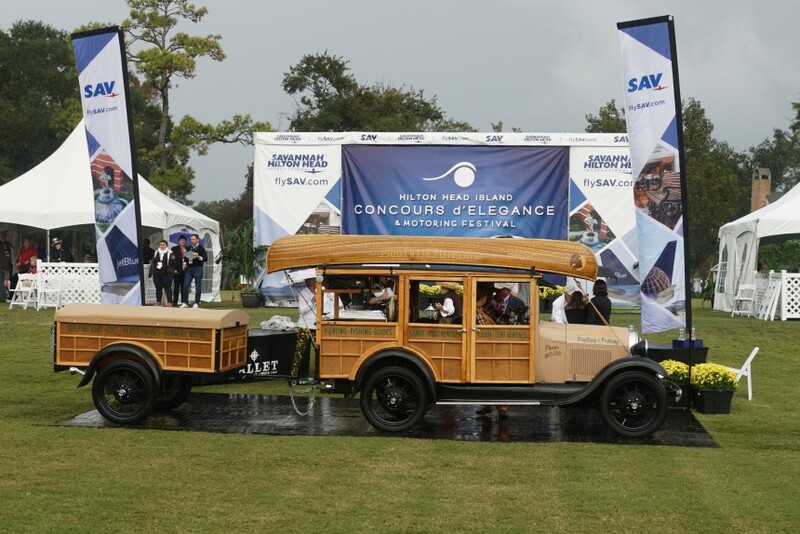 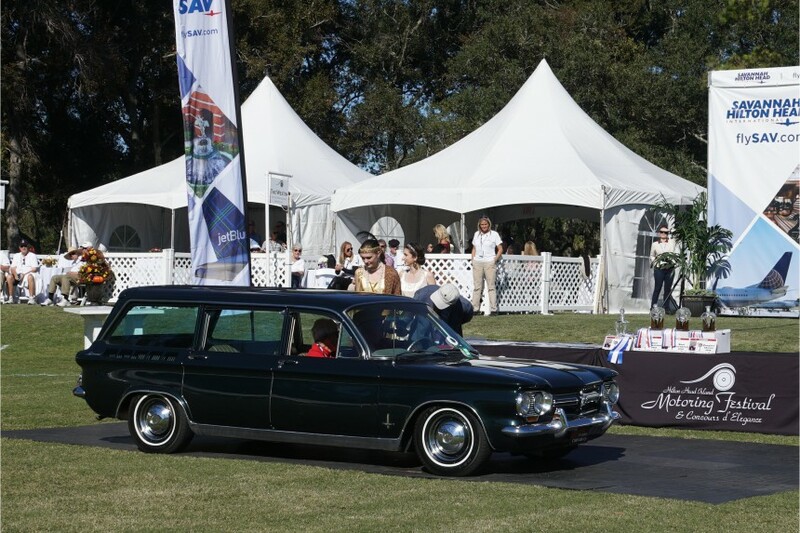 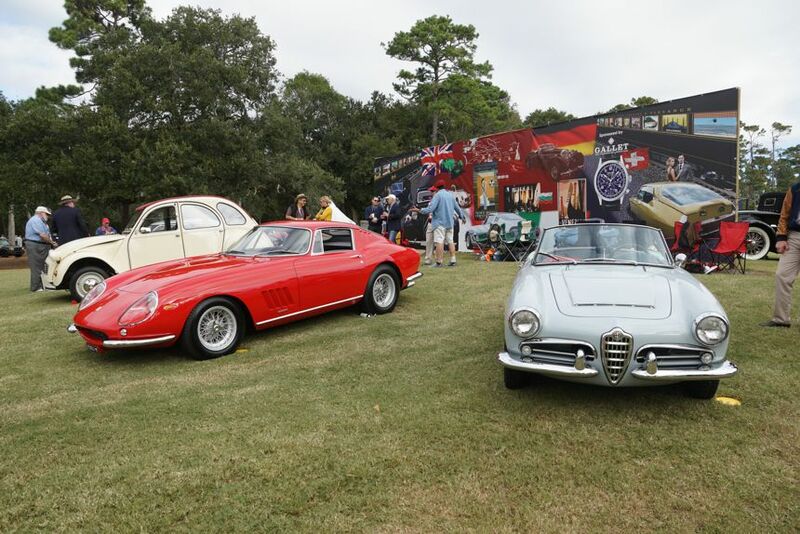 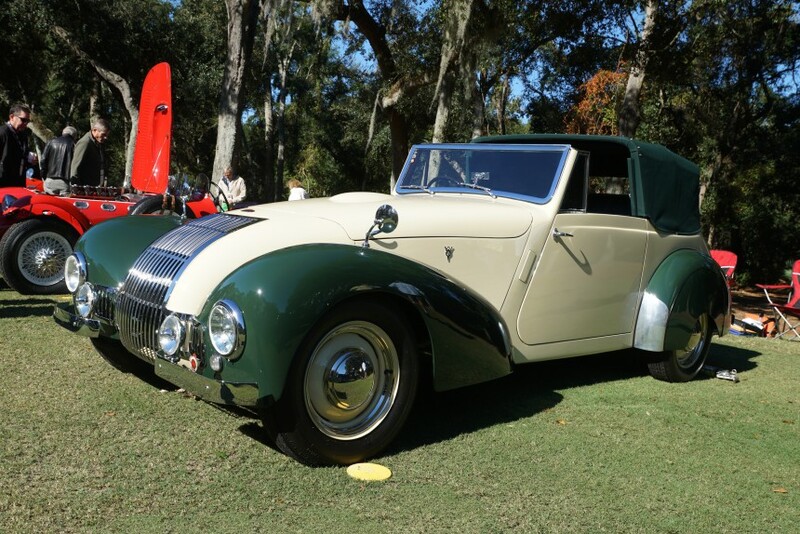 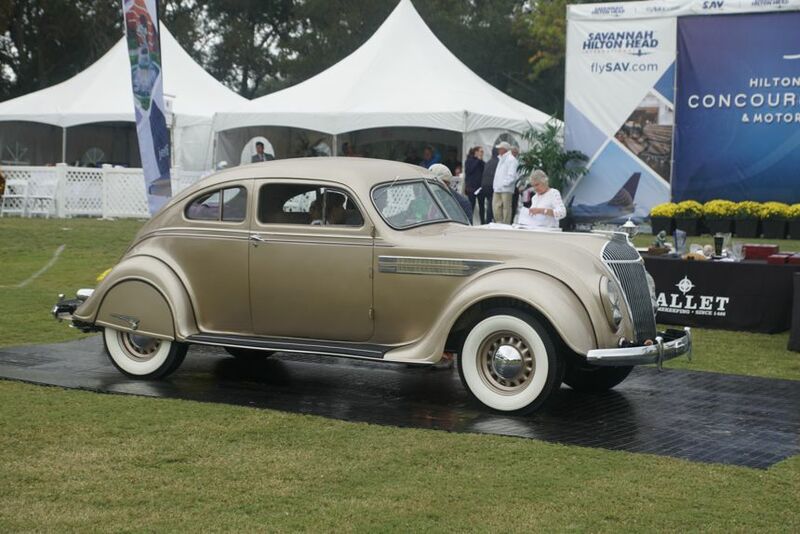 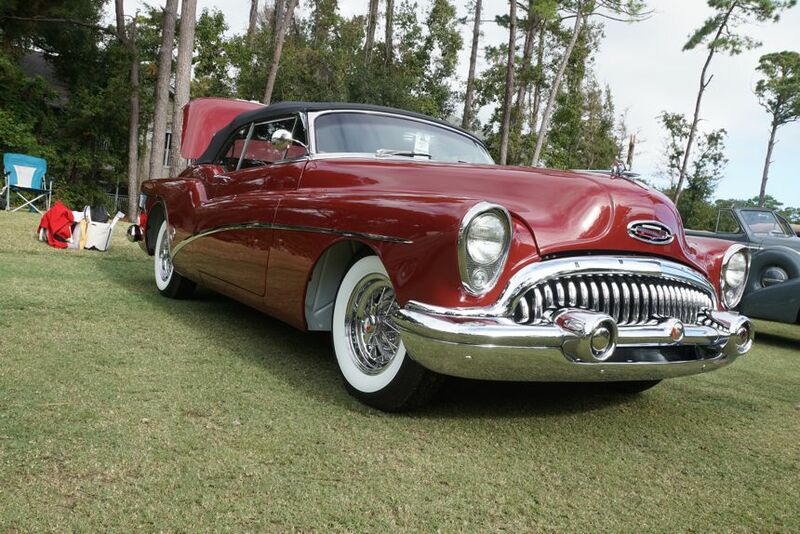 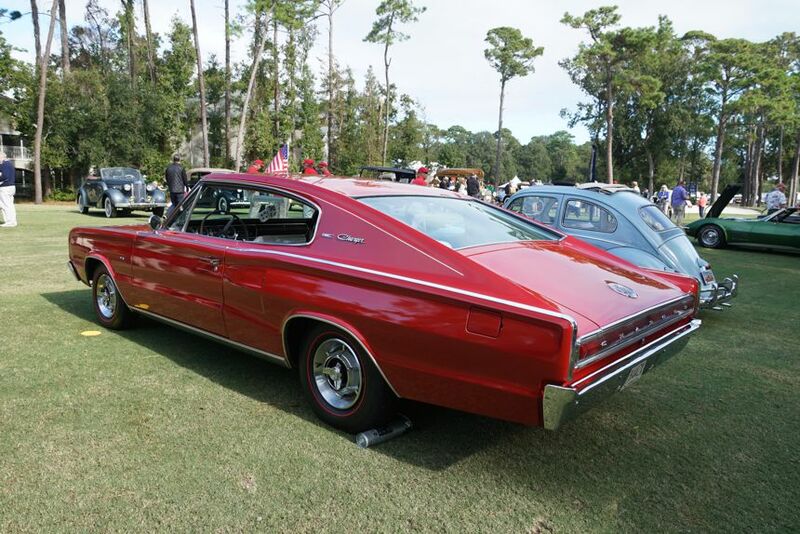 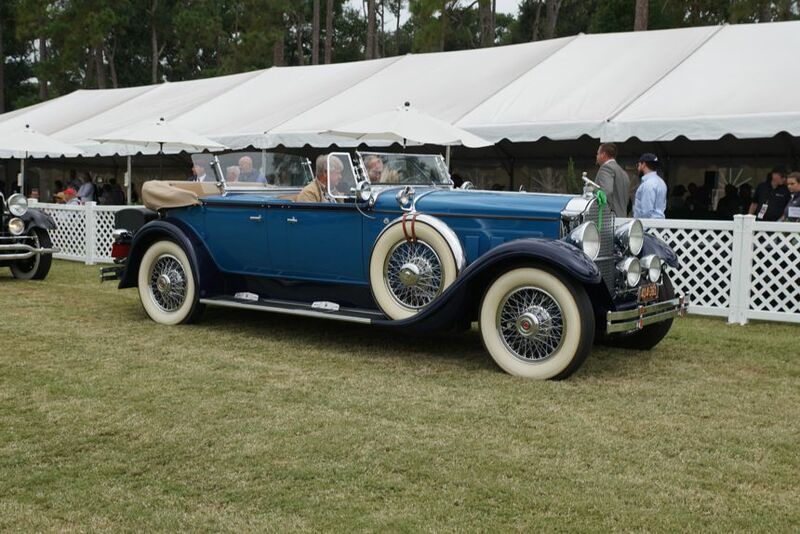 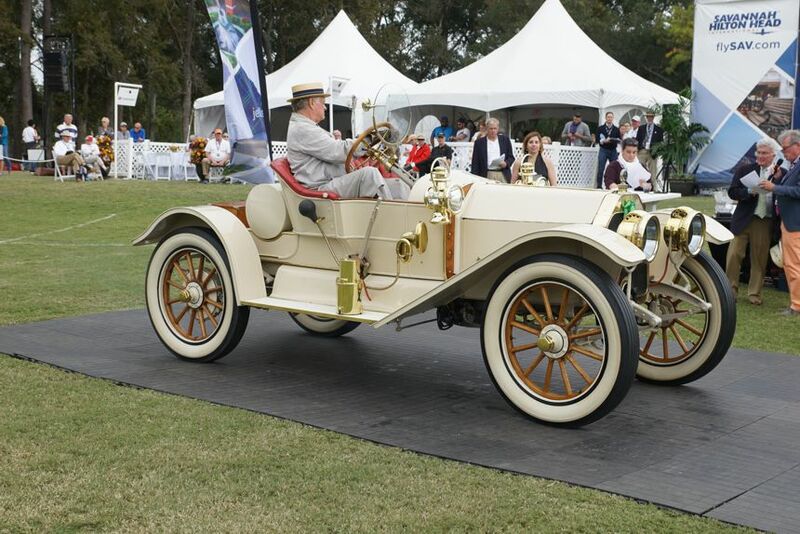 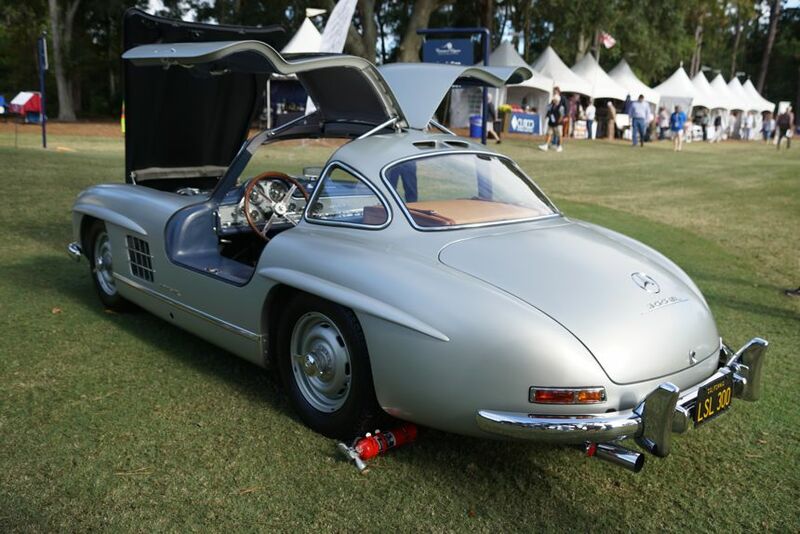 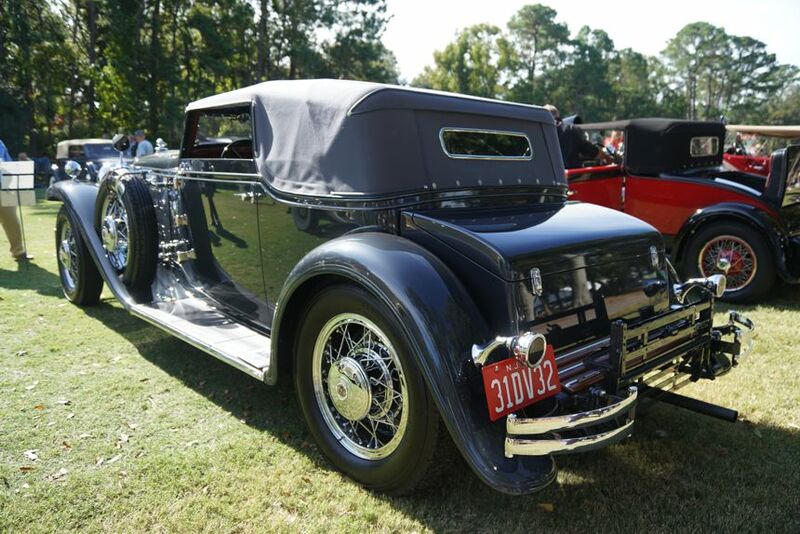 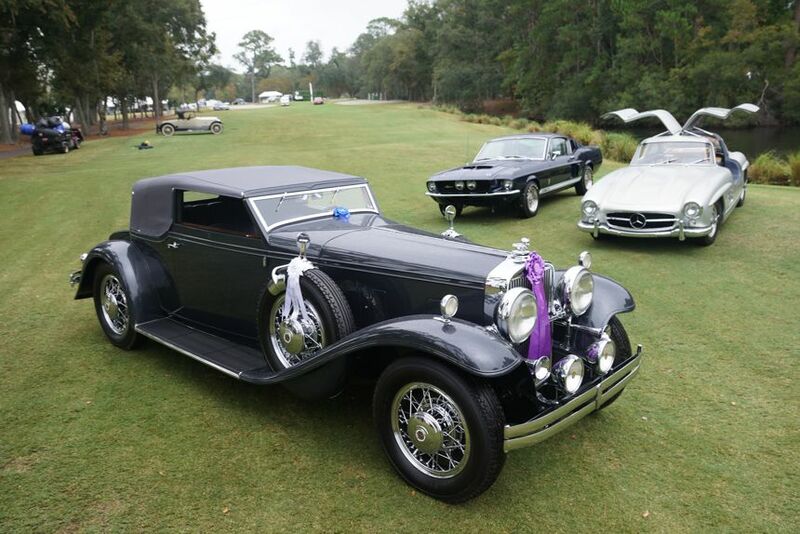 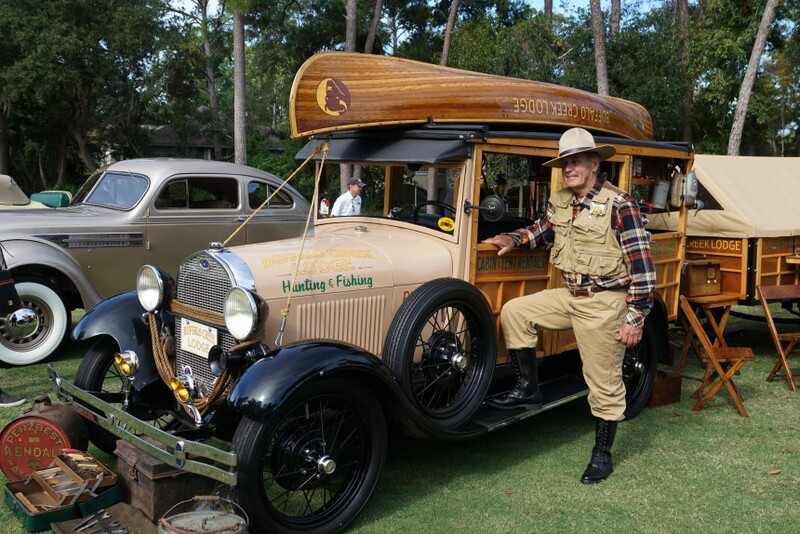 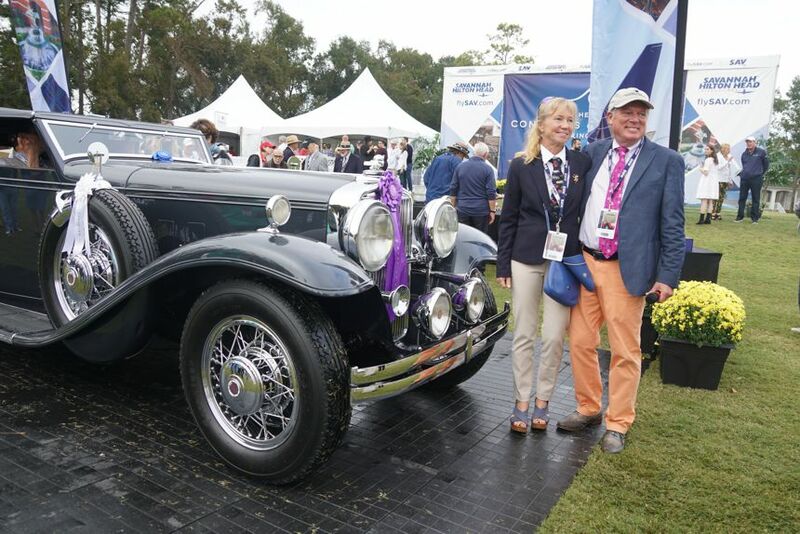 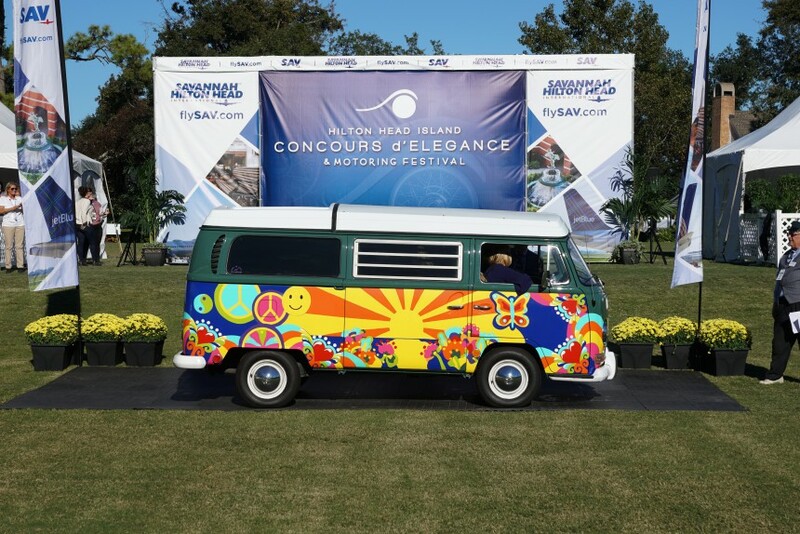 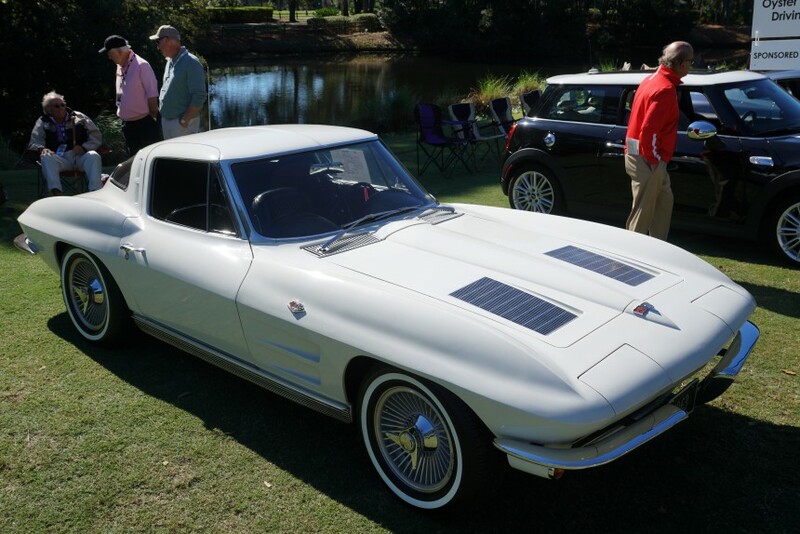 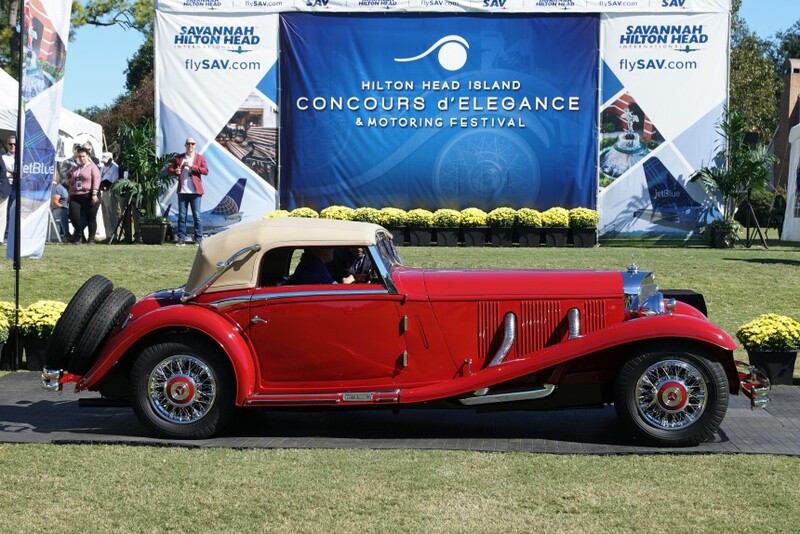 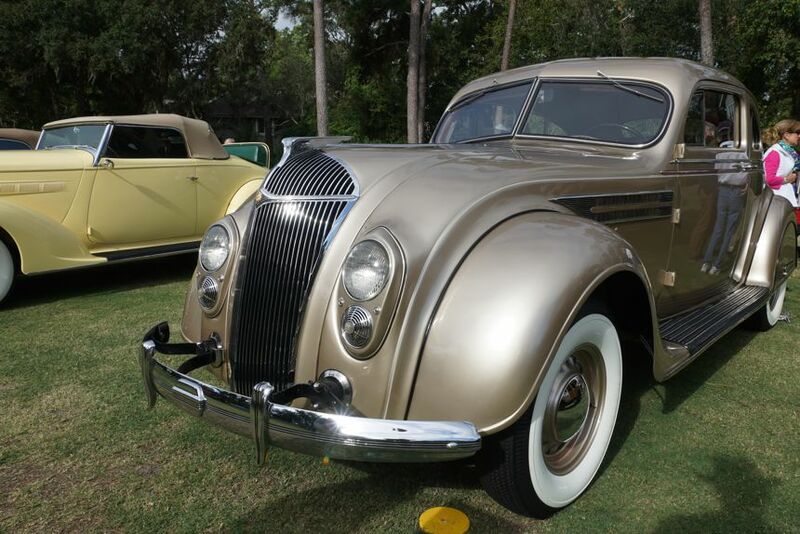 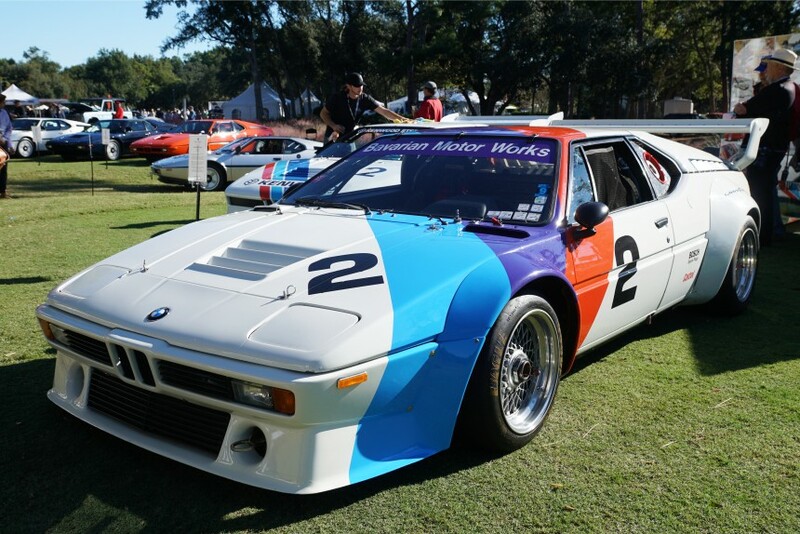 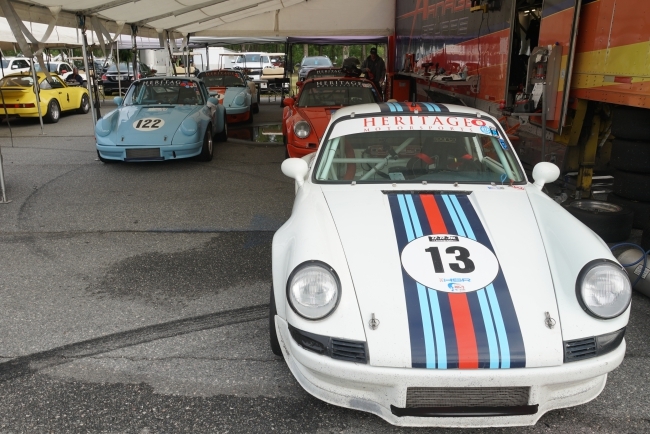 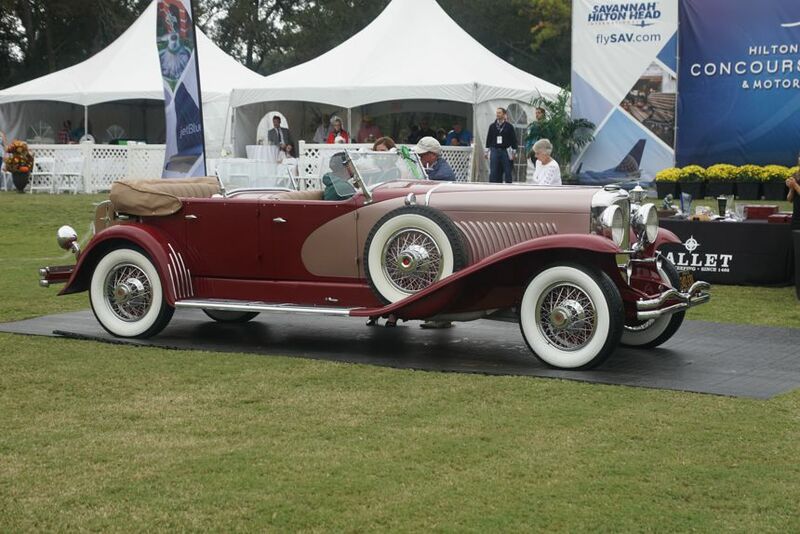 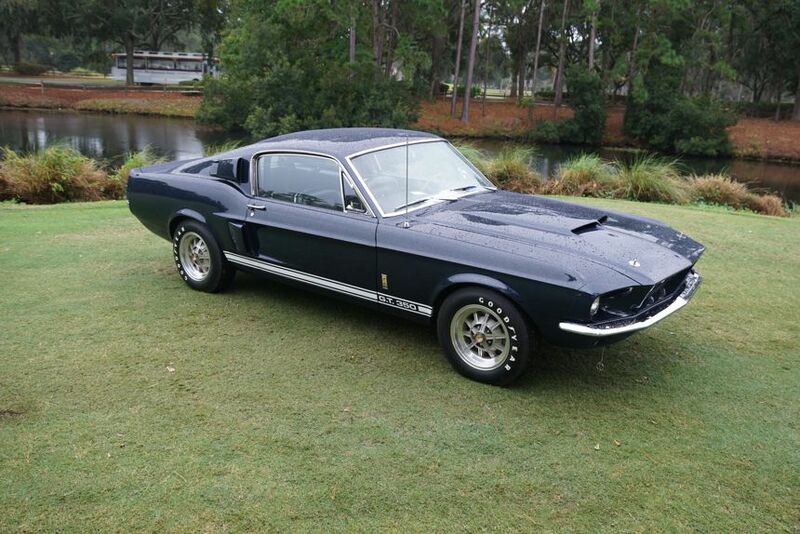 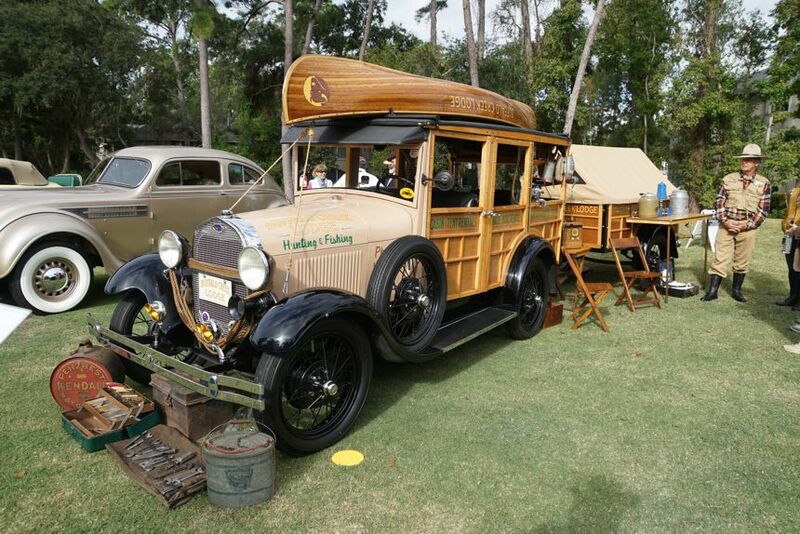 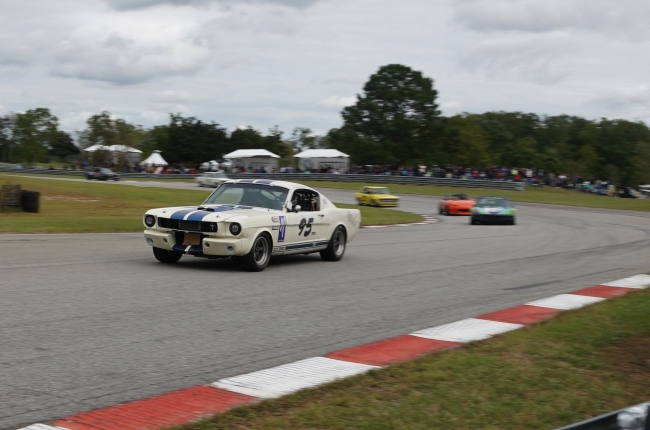 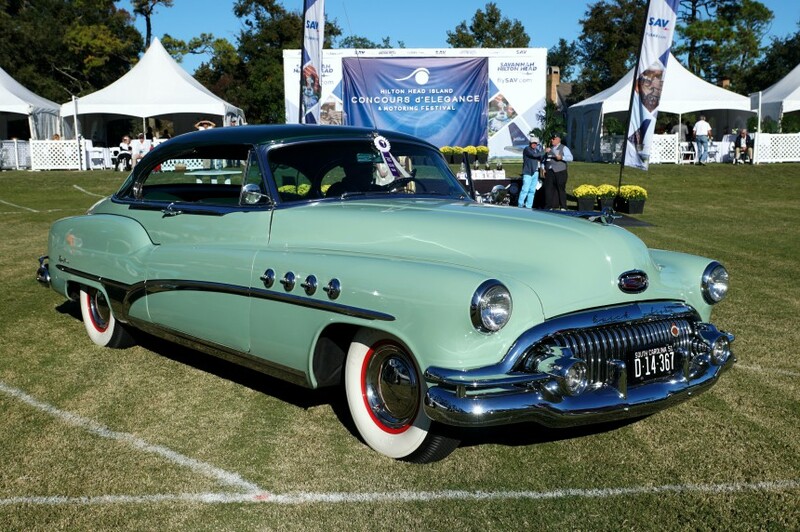 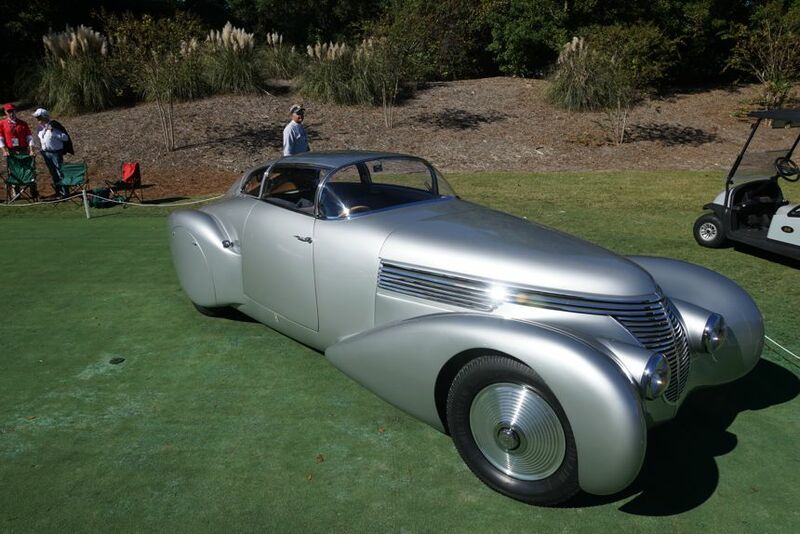 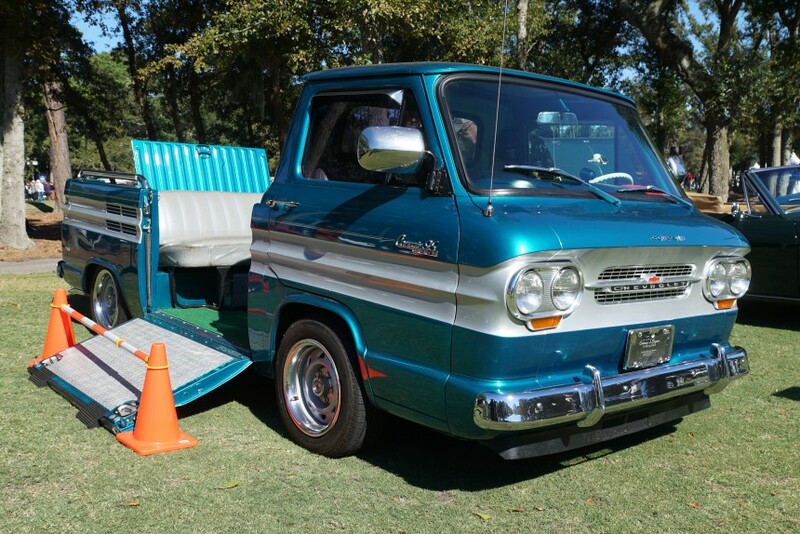 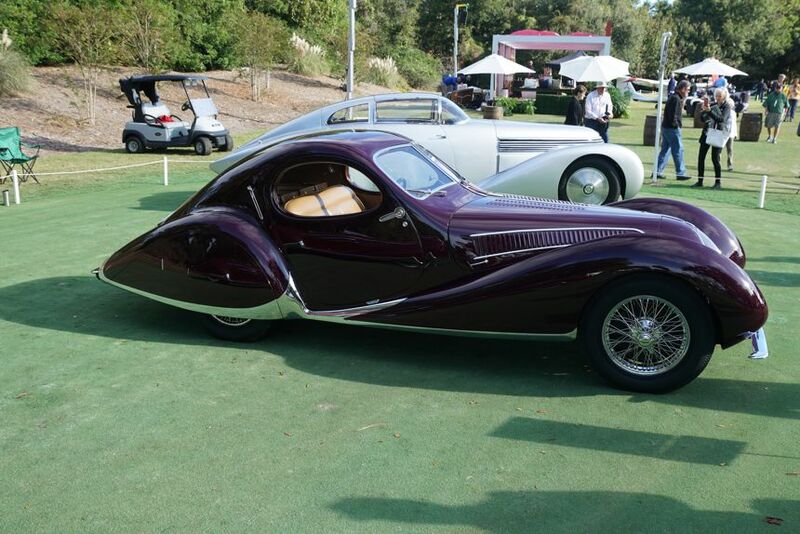 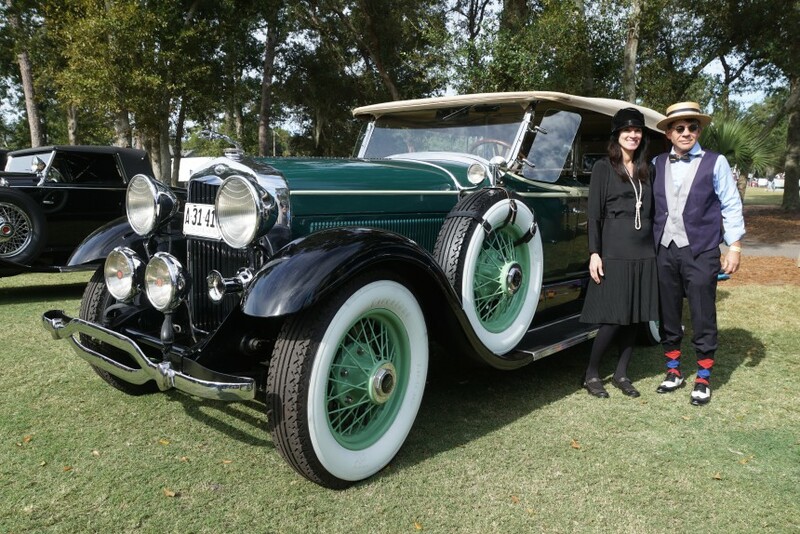 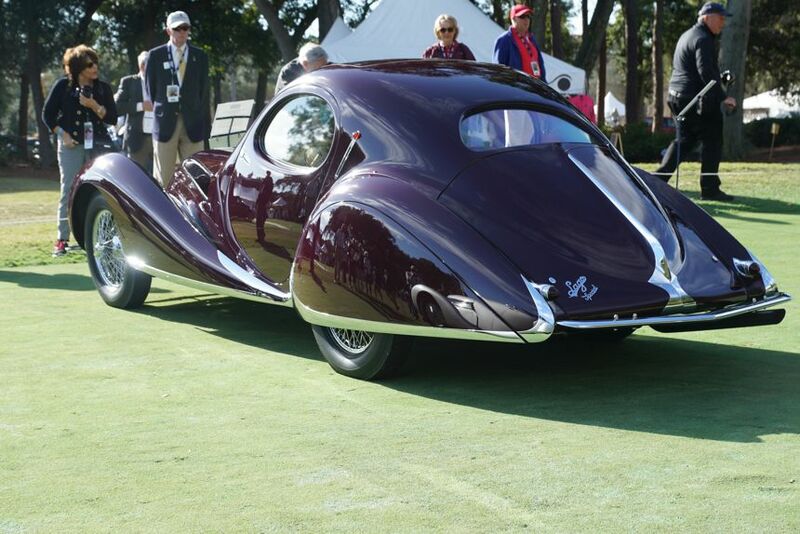 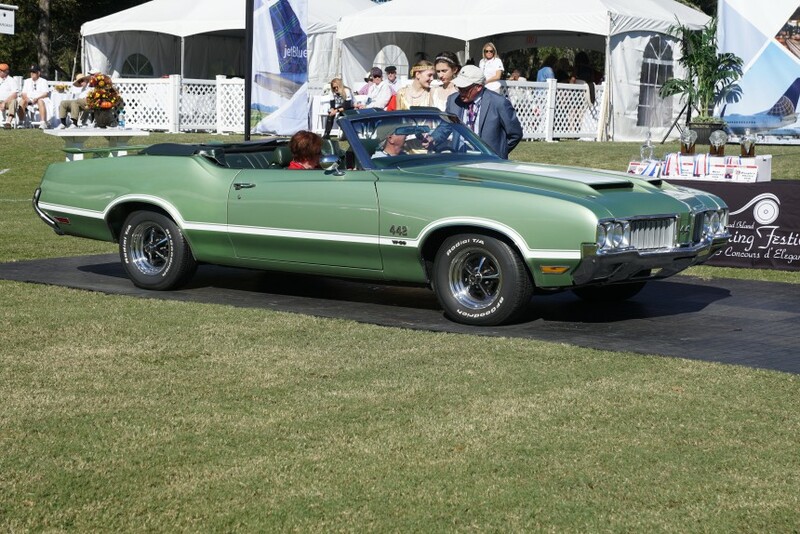 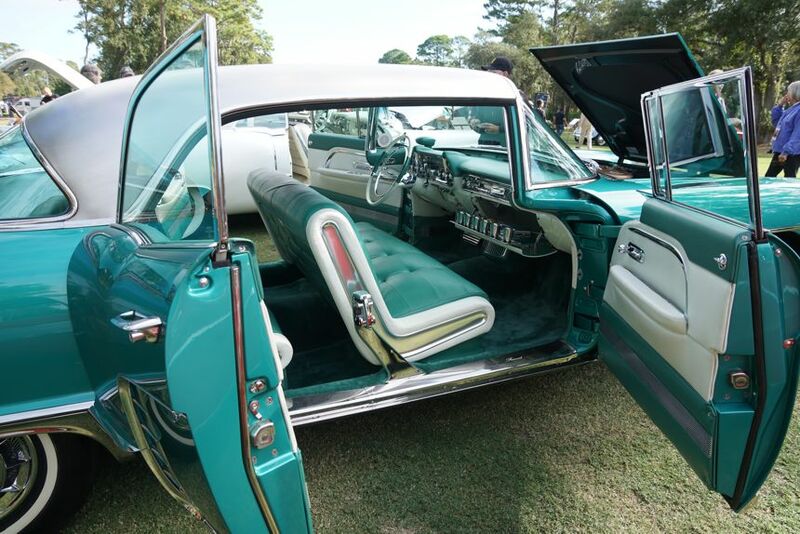 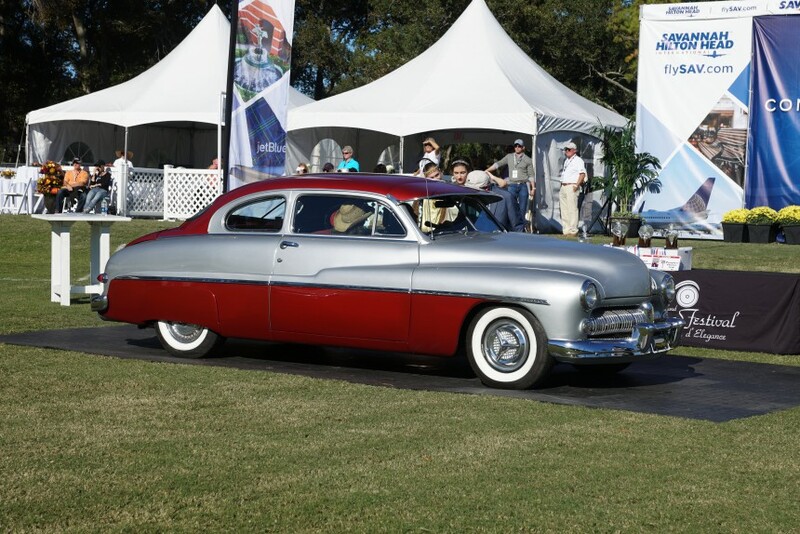 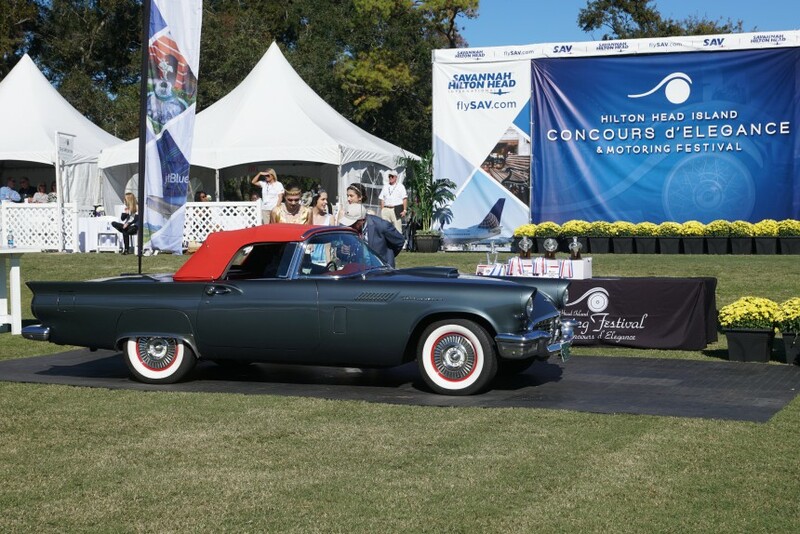 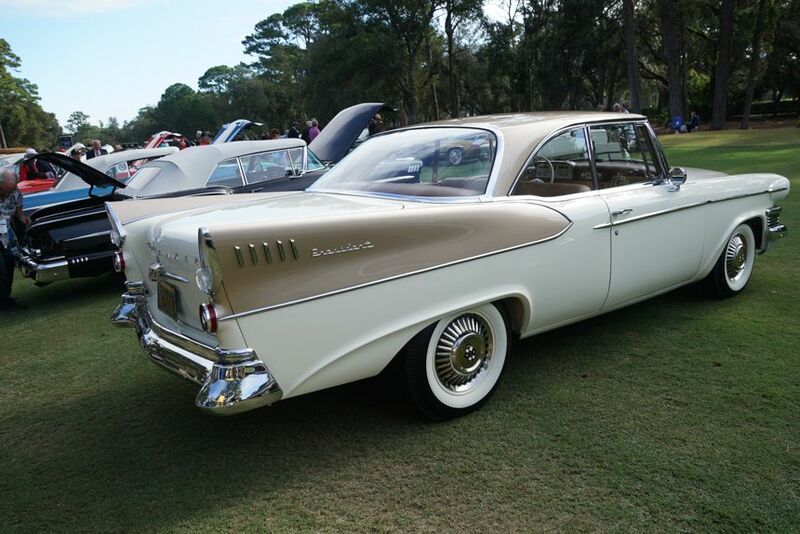 An annual event on the island for 17 years, the Hilton Head Motoring Festival week kicked off with the Savannah Speed Classic across the river on Hutchison Island and finished with the Concours d’Elegance at the Port Royal Golf Resort. 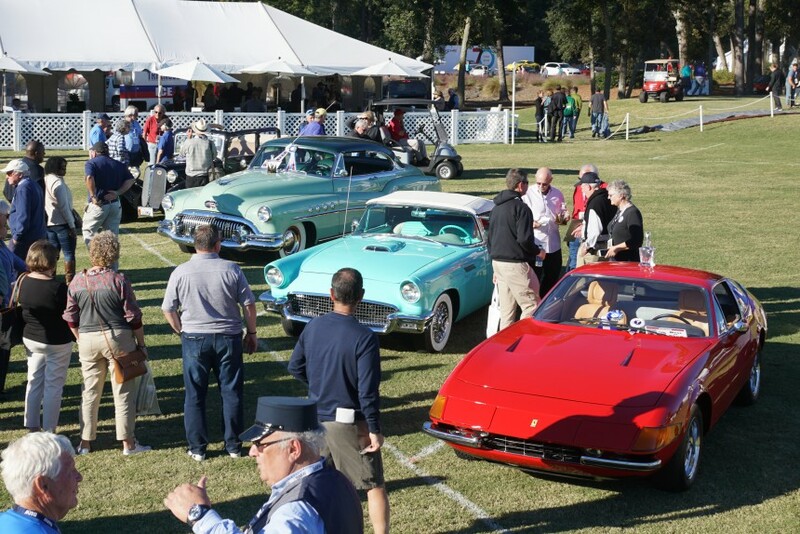 Known for its southern hospitality, relaxed environment, and beautiful surroundings, the Motoring Festival is always a treat for classic car lovers, as well as anyone who enjoys the attraction of this vacation paradise. 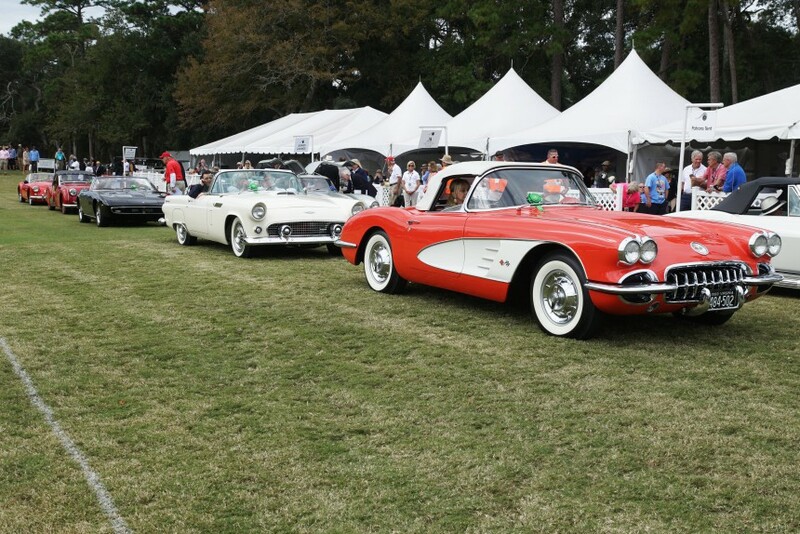 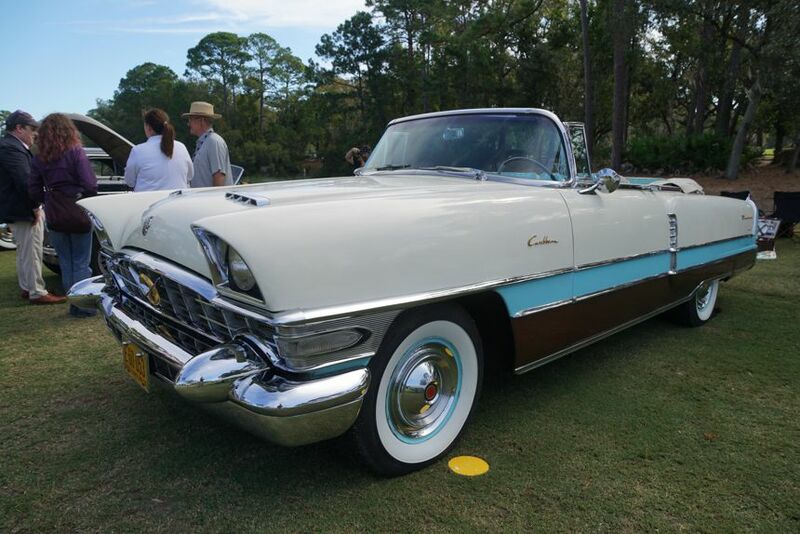 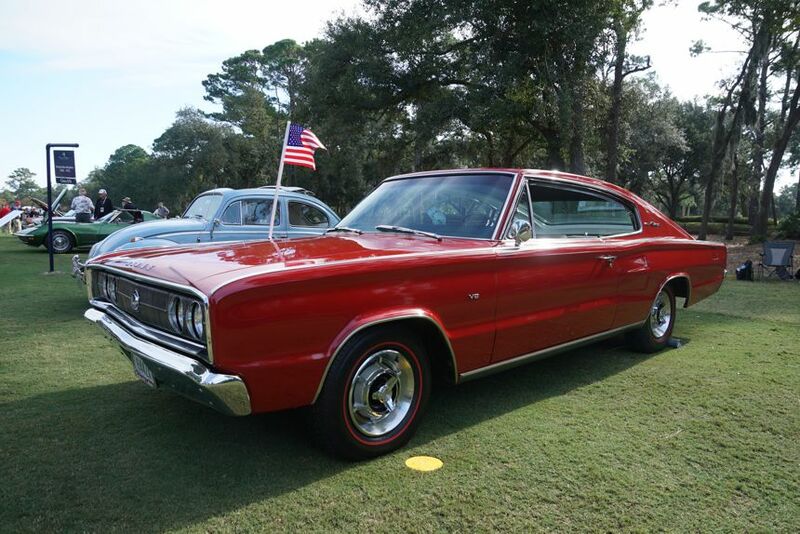 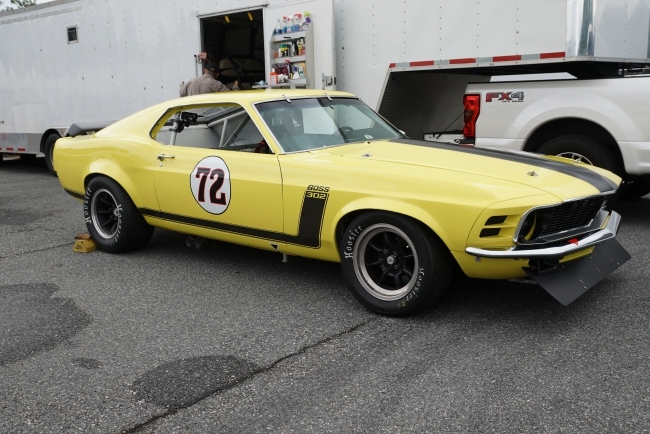 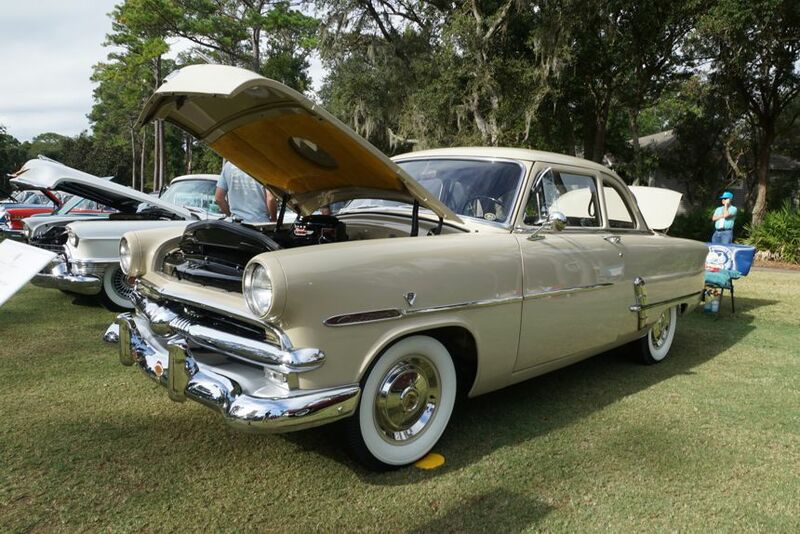 If you missed it this year, here’s a recap, but be sure to add it to your 2019 calendar when the Low Country again celebrates these motoring classics. 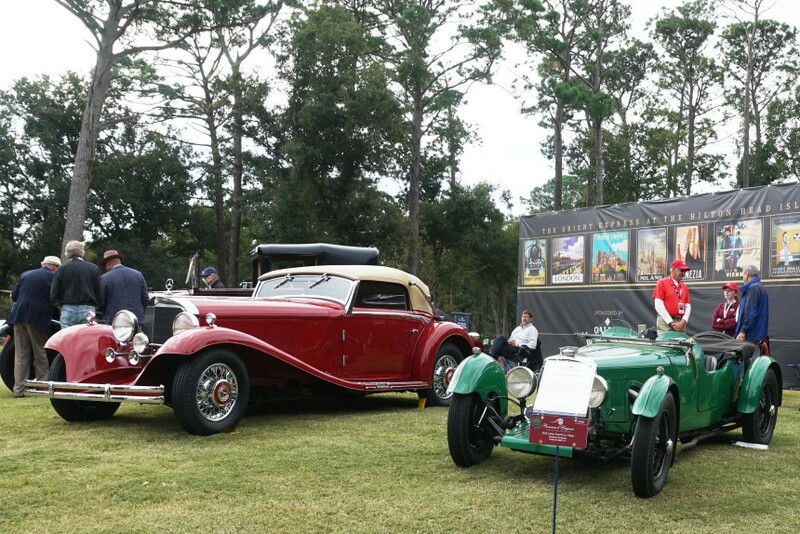 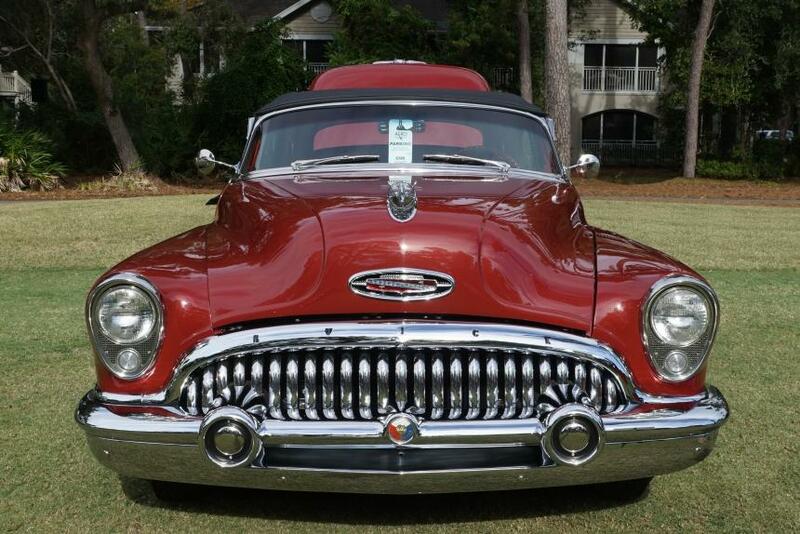 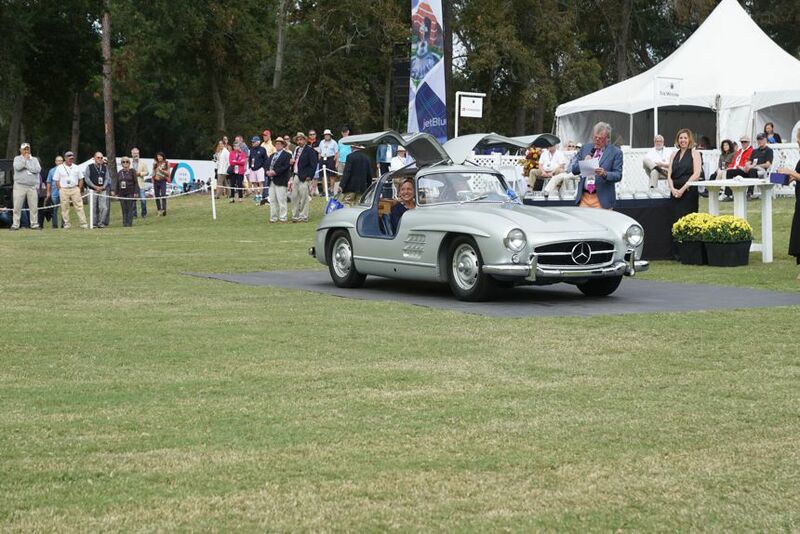 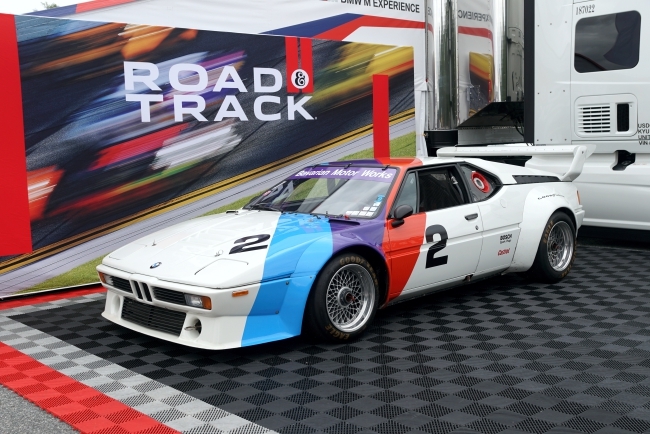 Highlights from this year’s Concours included two special collectors displays. 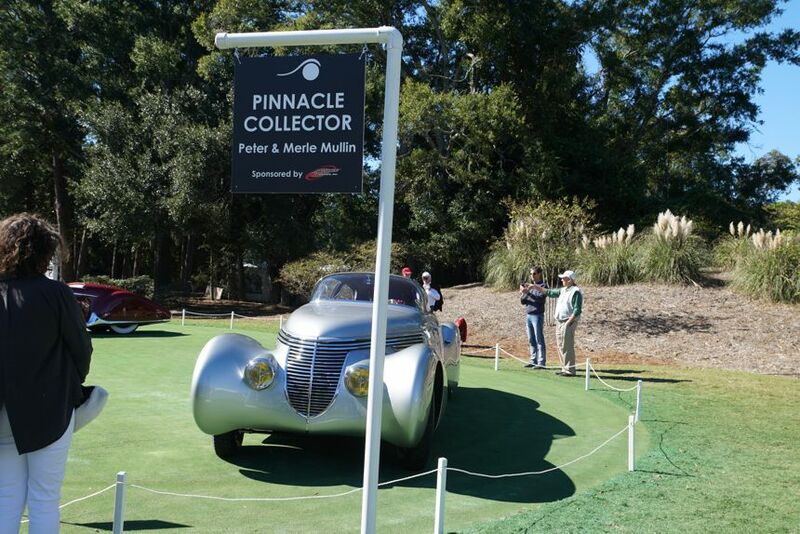 The first display, “Pinnacle” cars, included 3 elegant works of art from the Mullin collection. 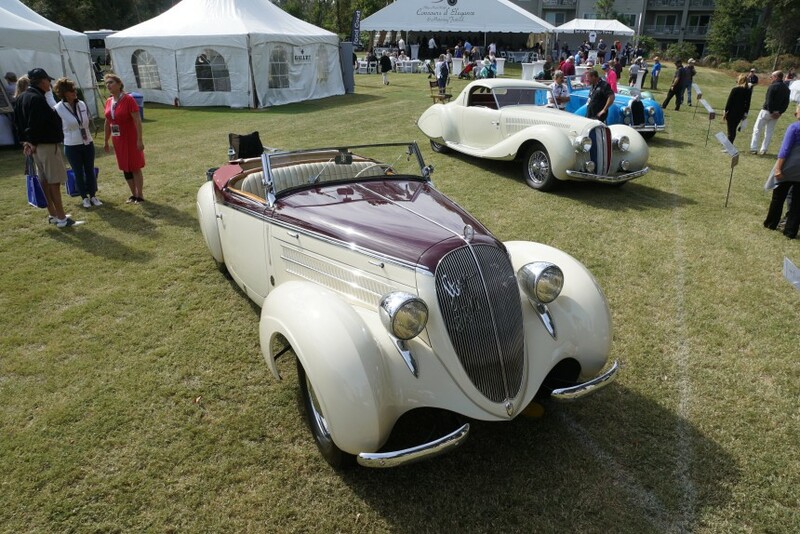 Each vehicle is world renowned as an ultimate achievement in coach-builder designs. 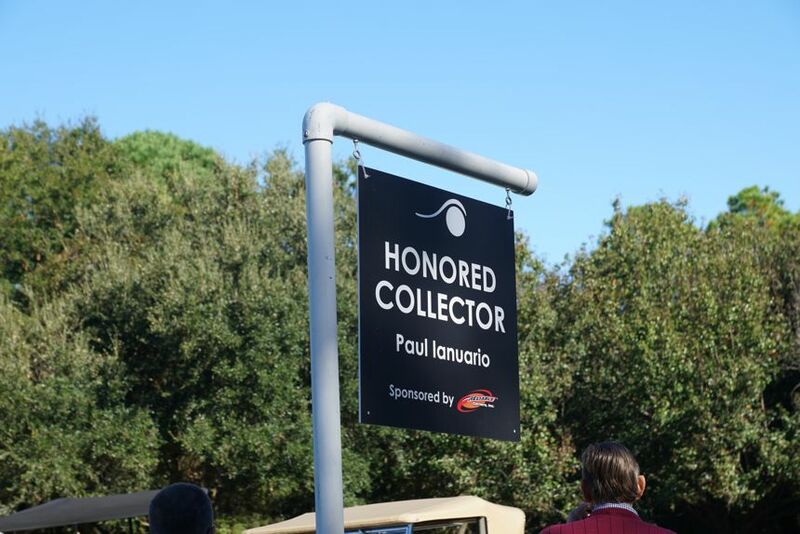 A second group,”Honored Collector,” featured four cars from the Ianuario collection. 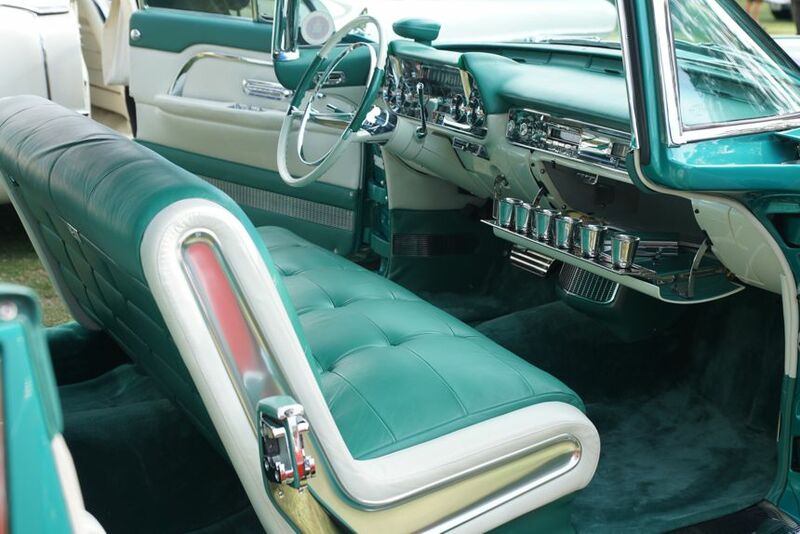 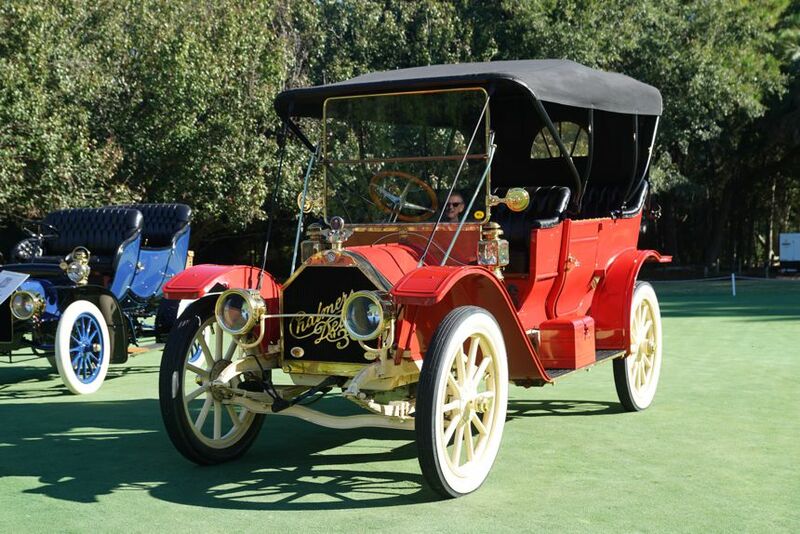 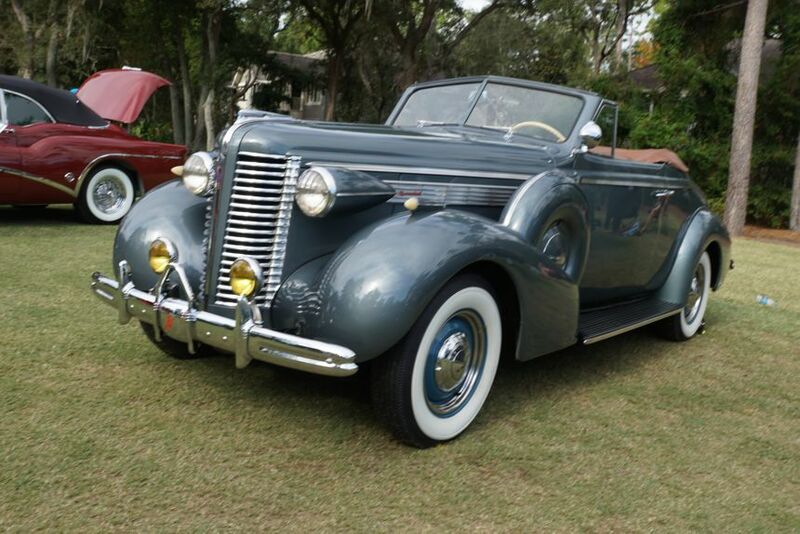 Each of these vintage vehicles represented rare examples from the earliest days of American motor car production. 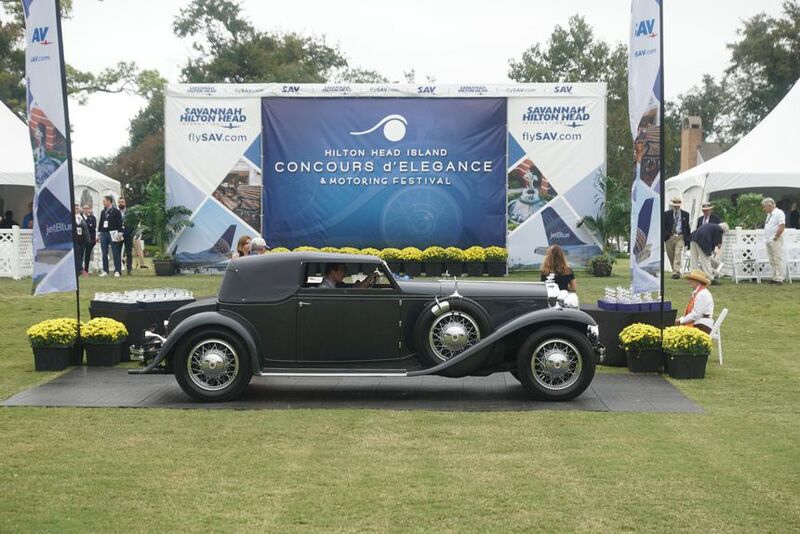 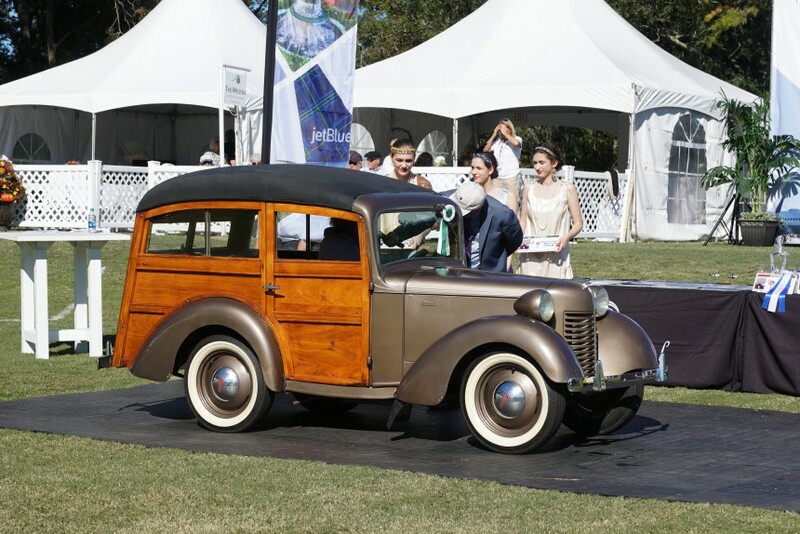 This year’s Concours also included 6 judging classes with a unique theme called “Life Along the Orient Express,” which are vehicles that captured the ‘20s and ‘30s period of Elegance and Speed. 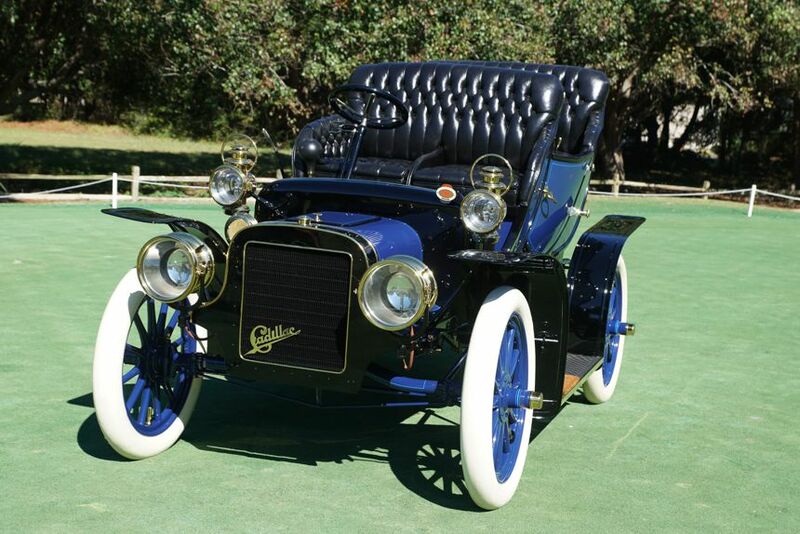 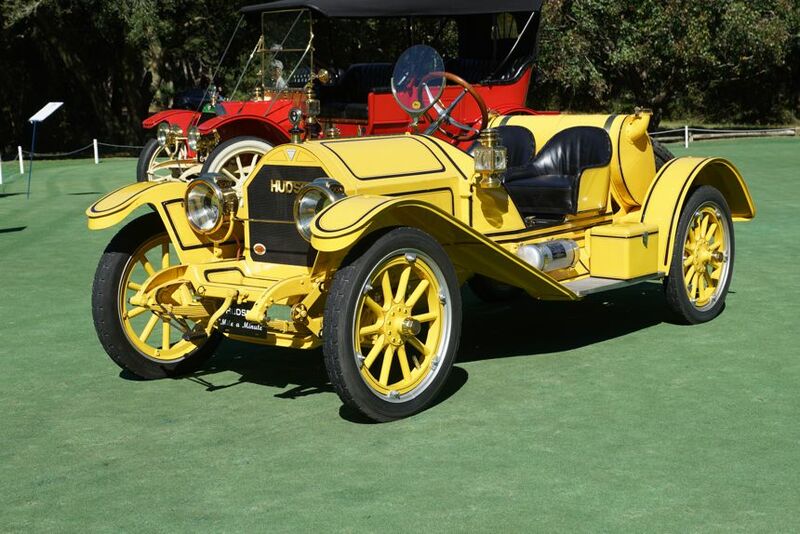 Automobiles from this era were Isotta Fraschini, Steyr, Peugeot, Mercedes-Benz, Rolls-Royce, and others. 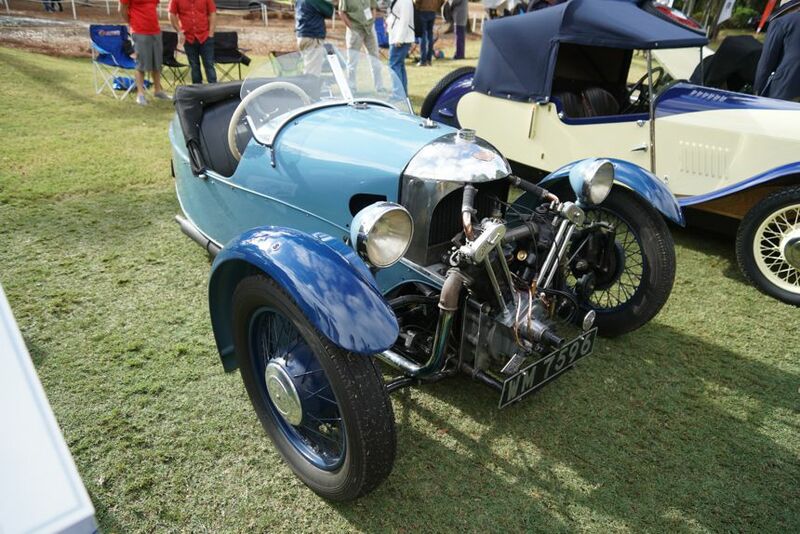 Another much-talked about event this year was the large number of cars displayed in the Morgan three-wheeler, Sunbeam Tiger, Allards, and BMW M1 groups. 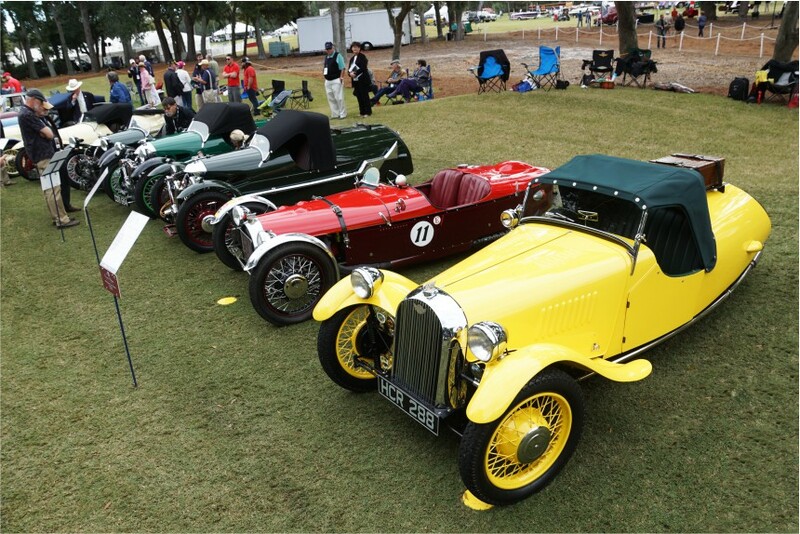 It is uncommon to see so many of these particular models displayed in one place. 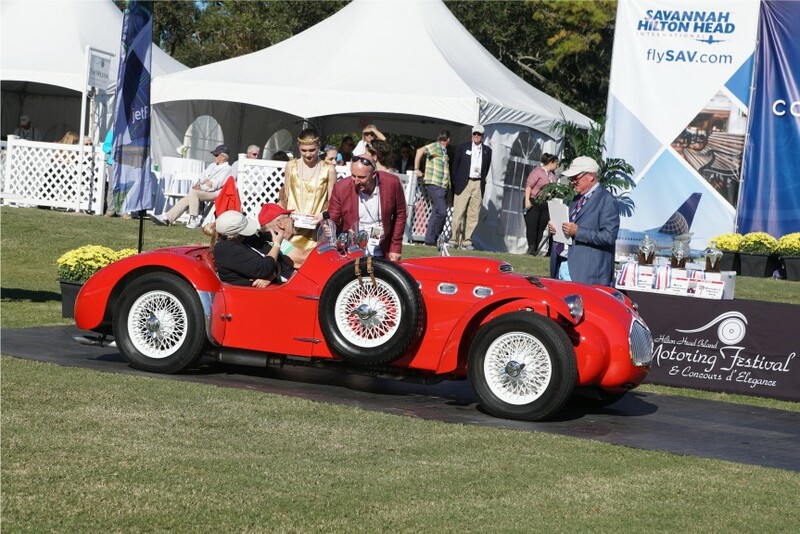 The climax of the day was the awards ceremony. 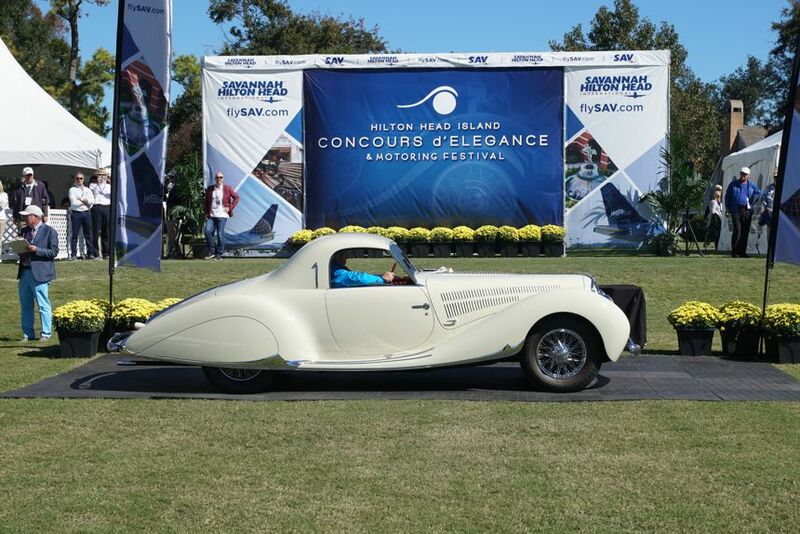 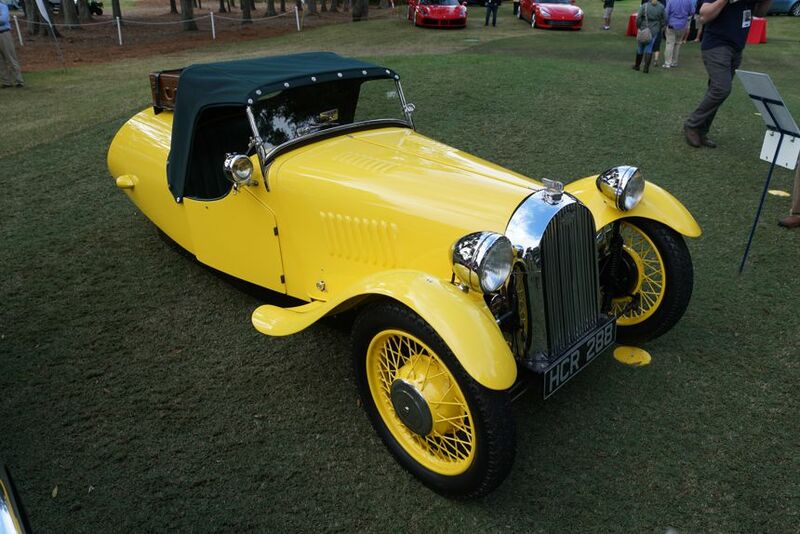 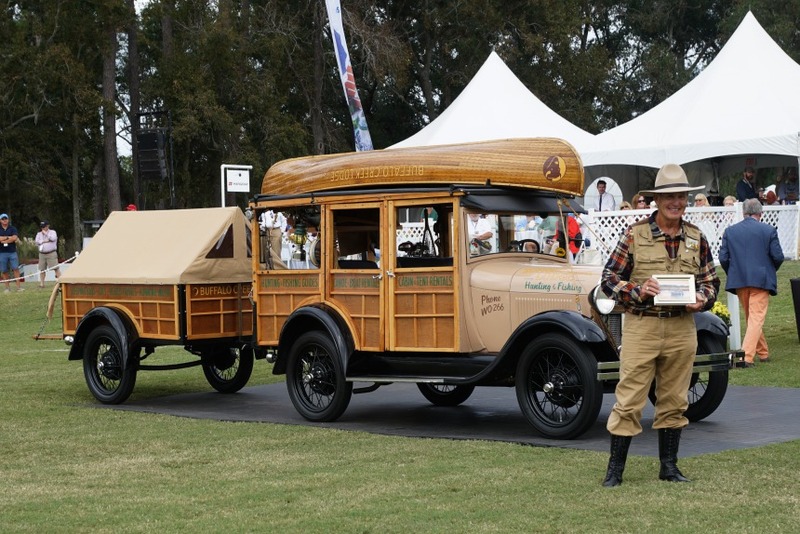 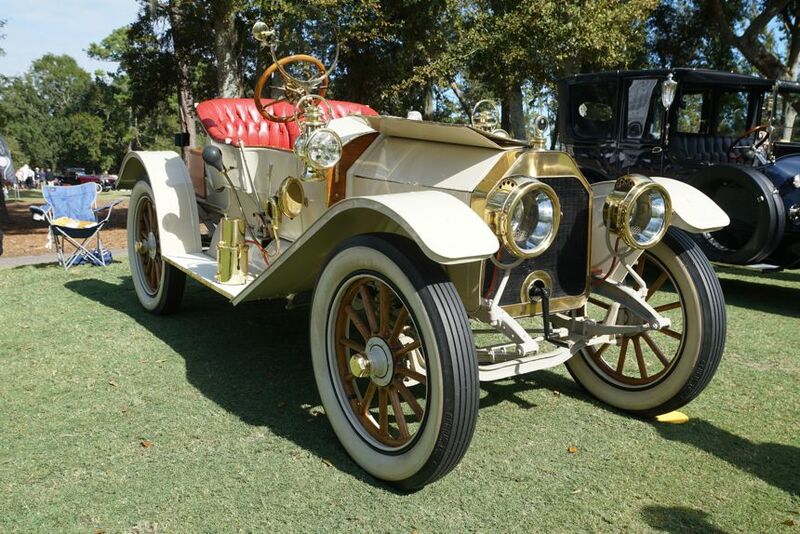 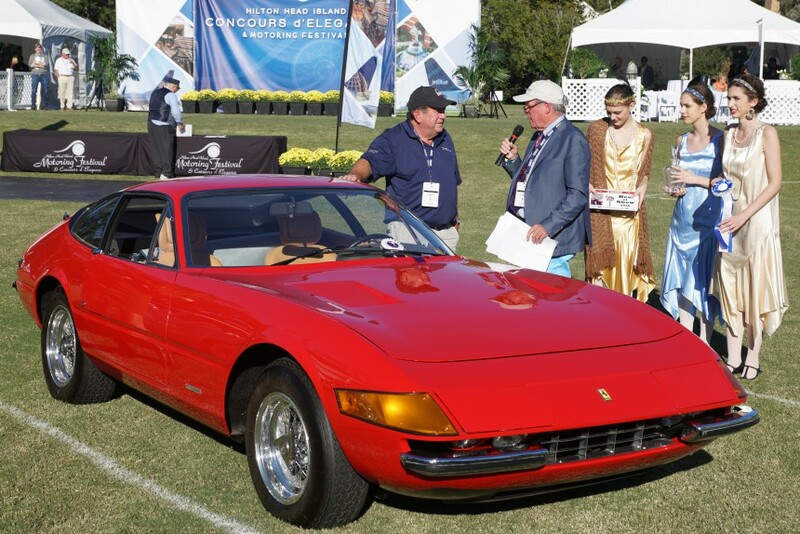 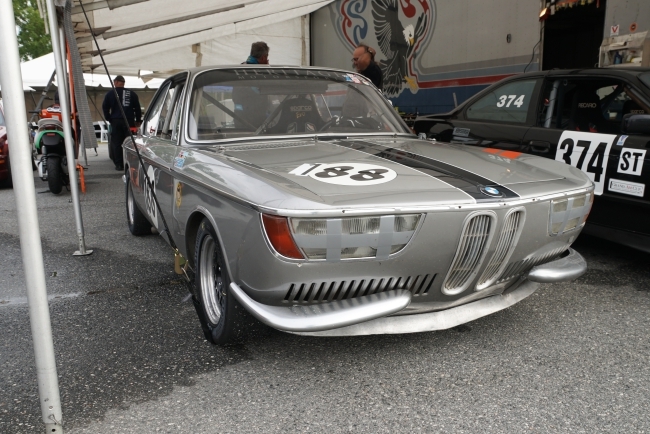 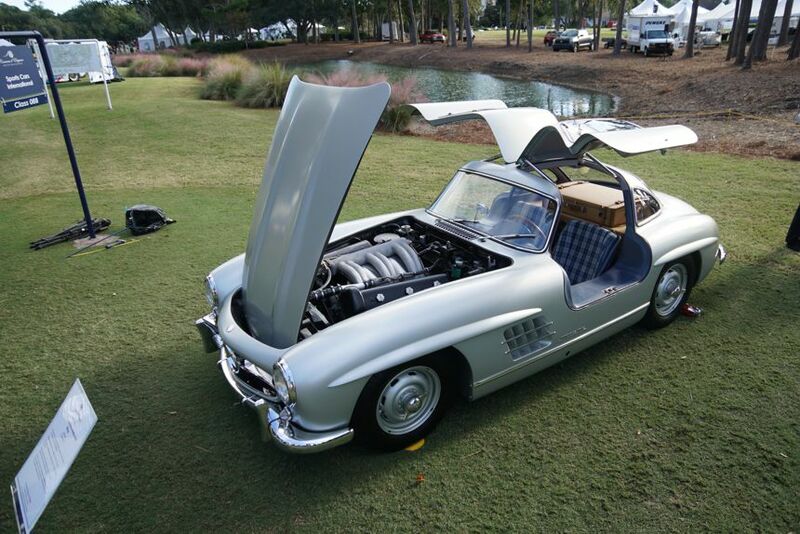 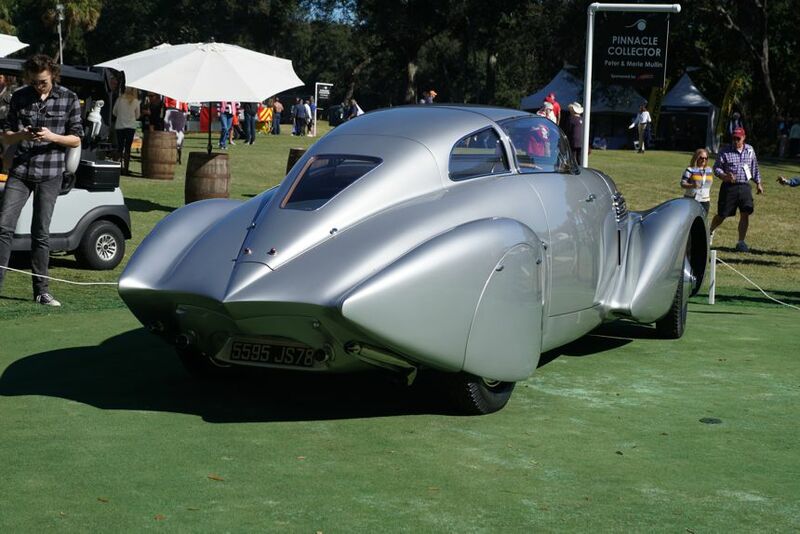 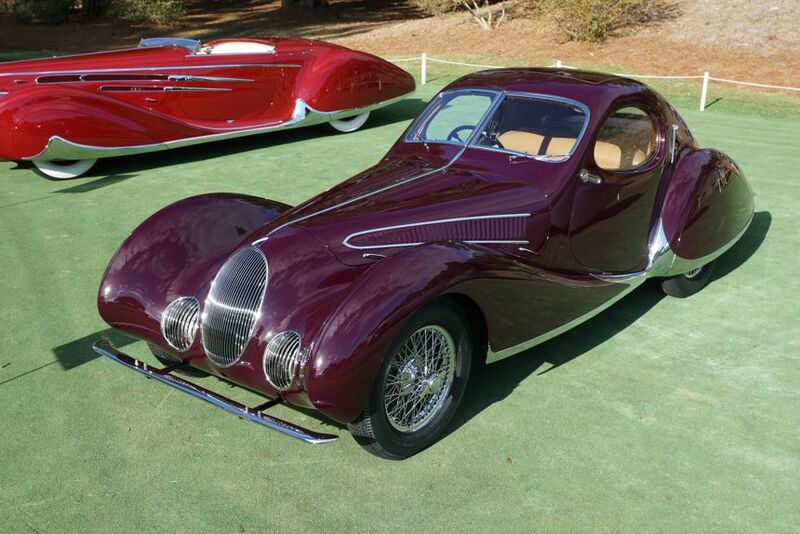 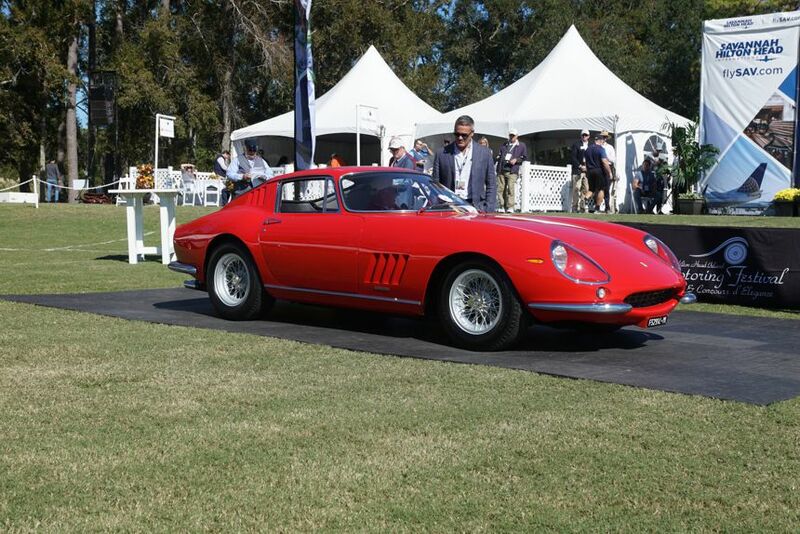 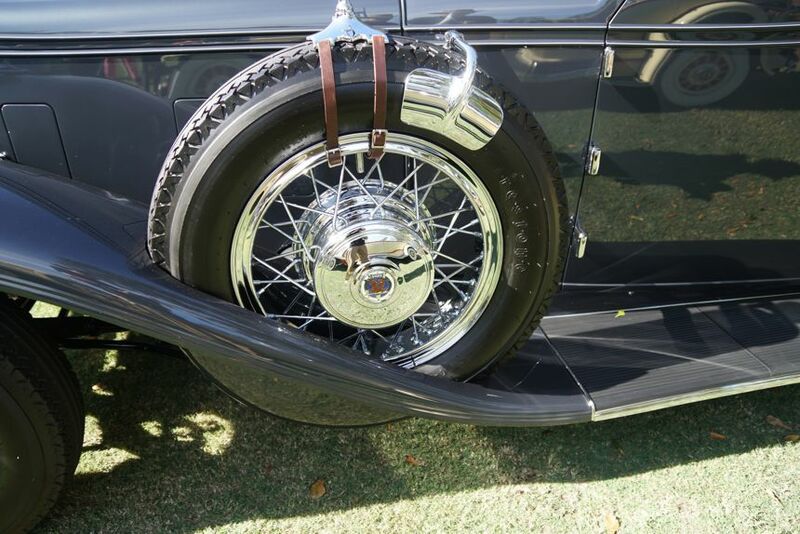 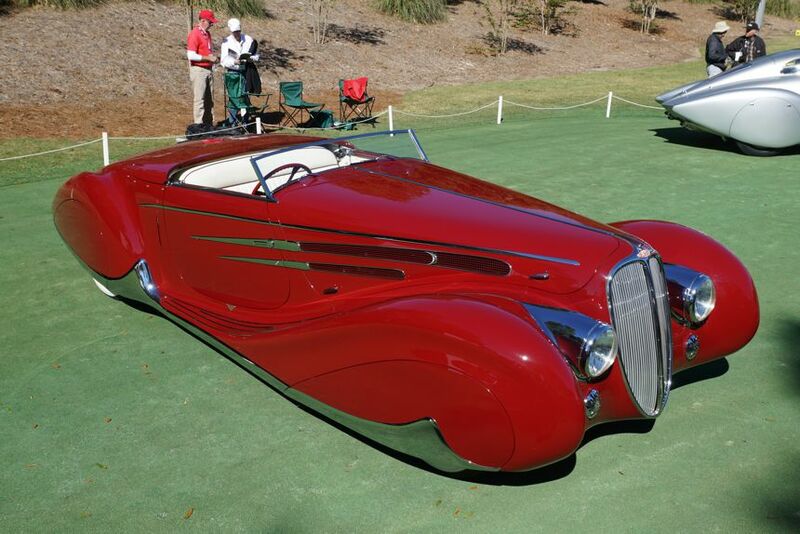 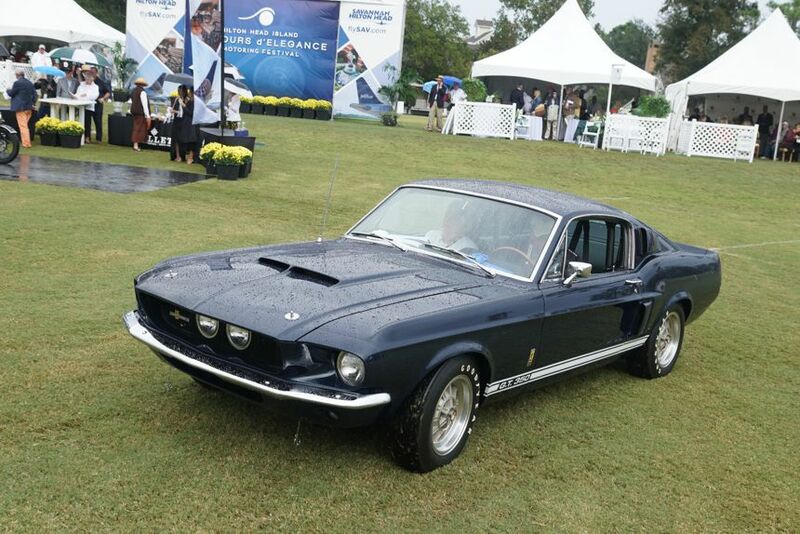 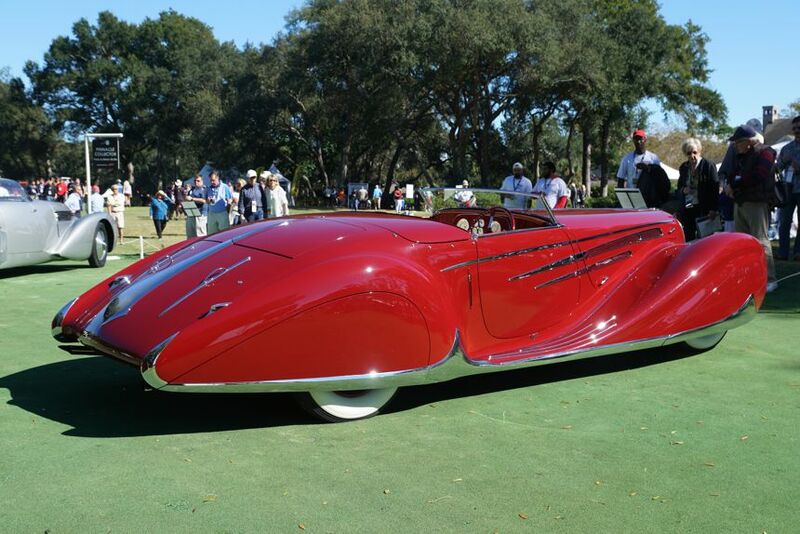 Here are some of the major awards presented at this year’s Concours d’Elegance. 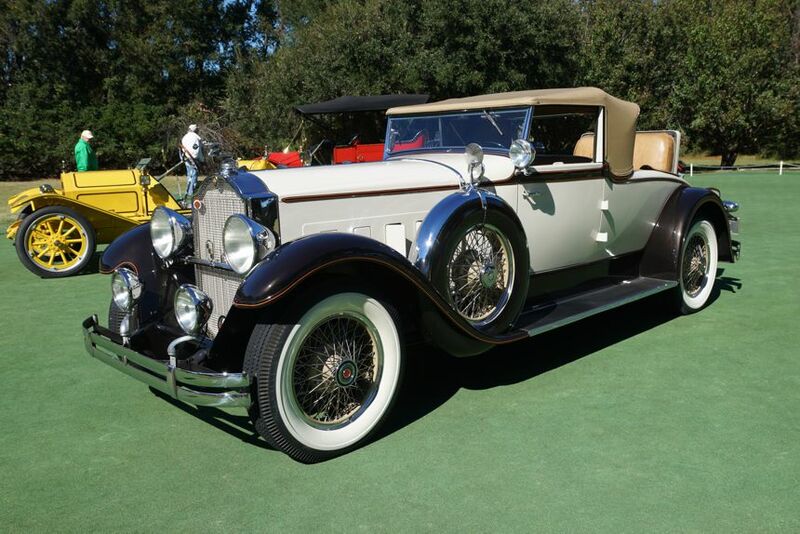 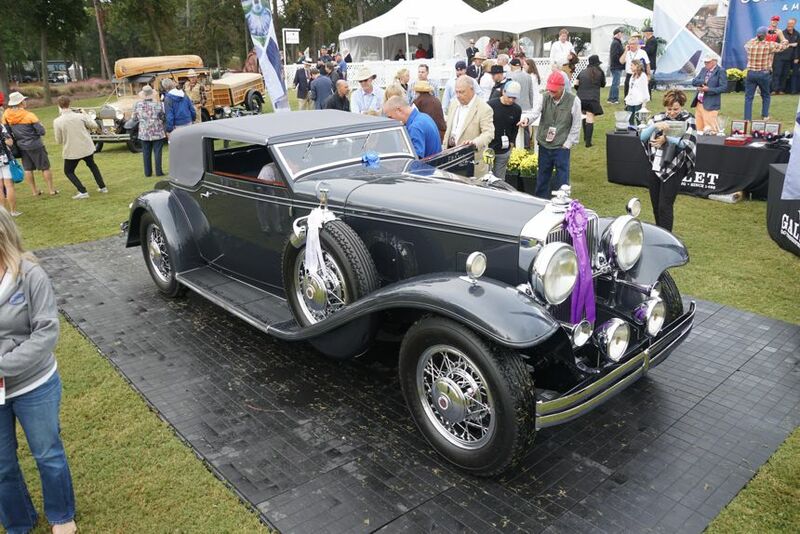 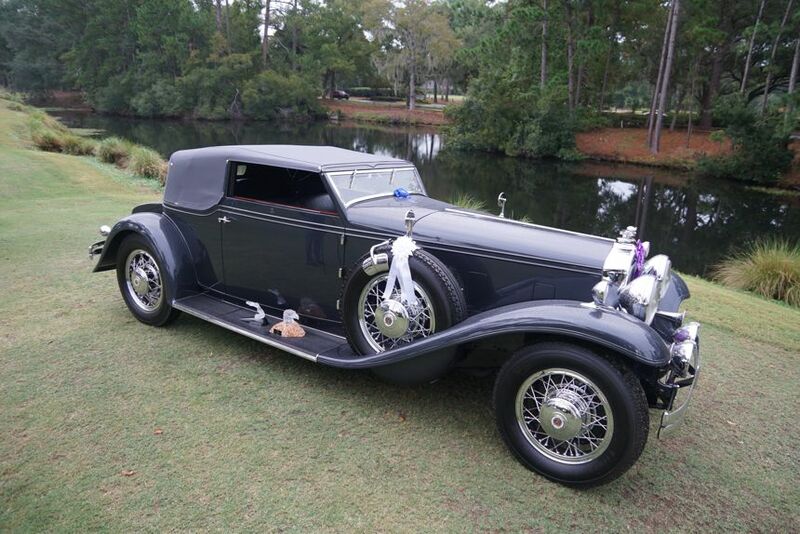 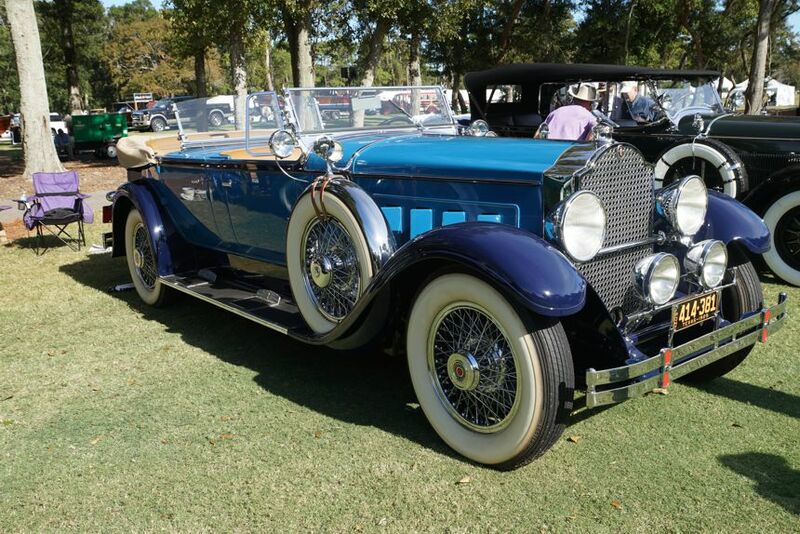 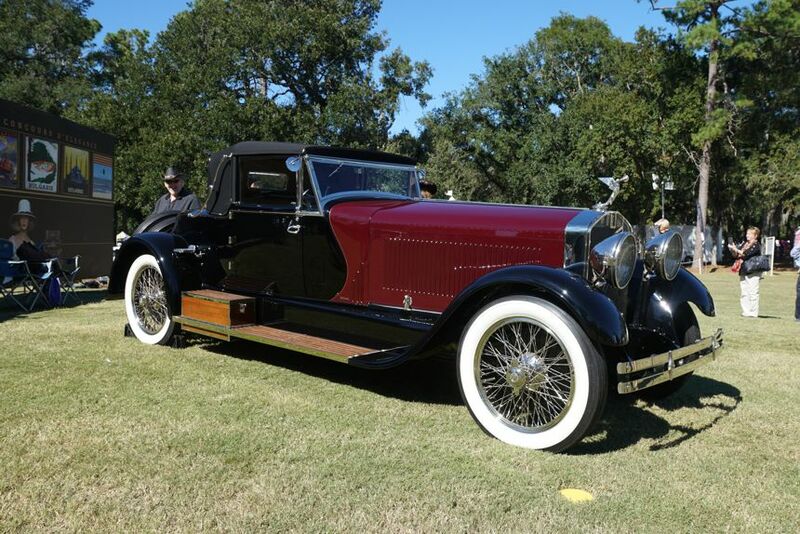 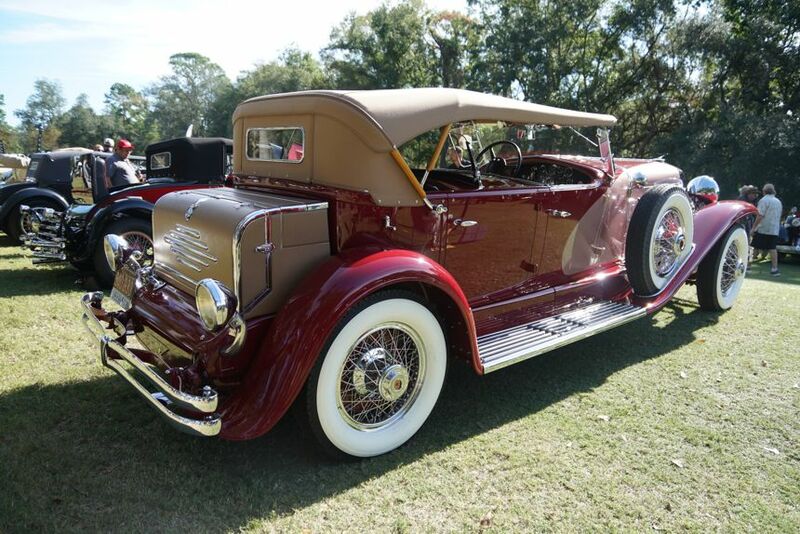 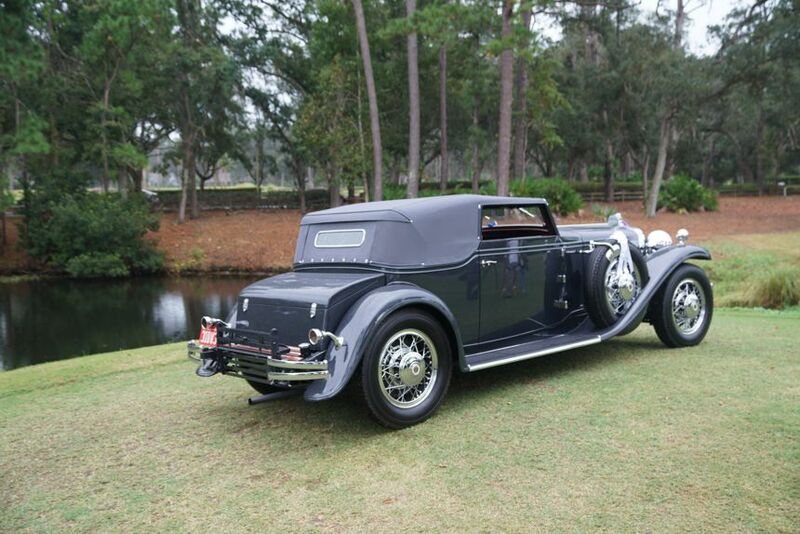 A 1931 Stutz DV32 Convertible Victoria, owned by Joseph Cassini of West Orange, NJ, was awarded the Best Rolling Art Award and was later crowned Best of Show at the 2018 Hilton Head Concours d’Elegance. 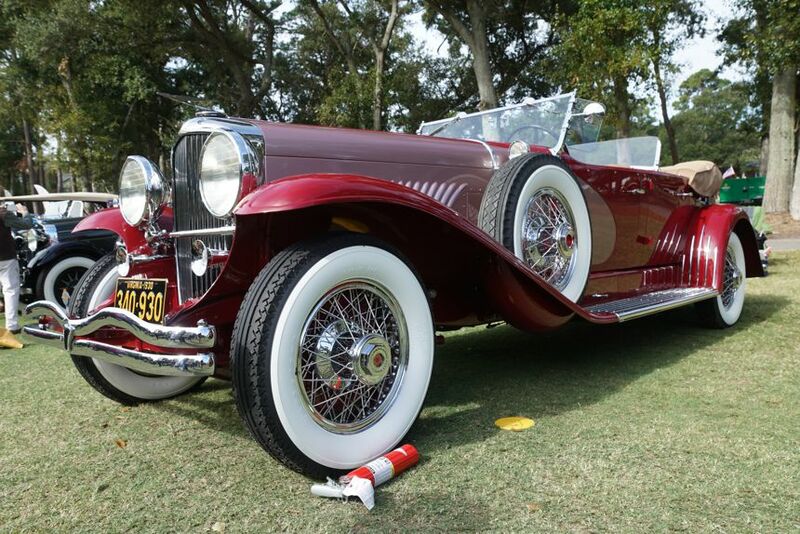 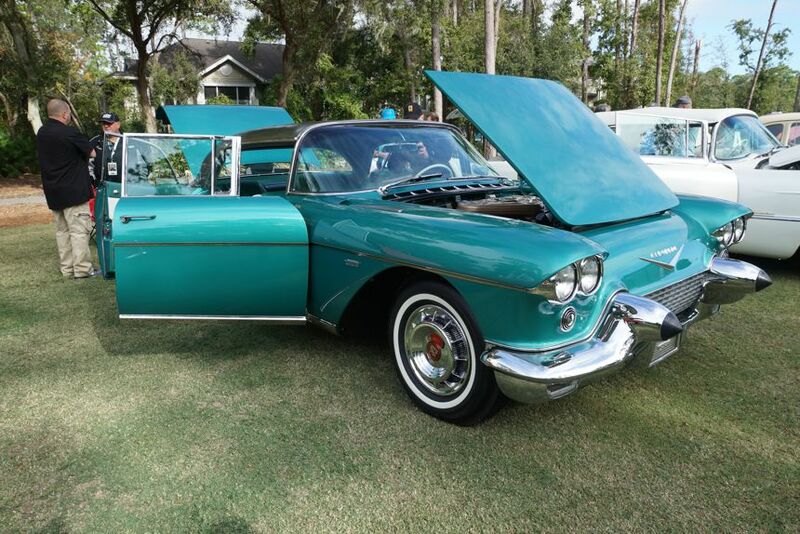 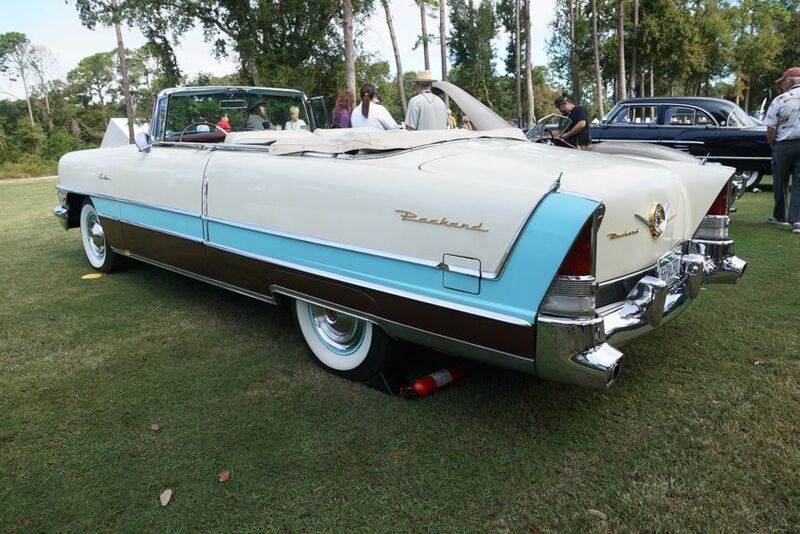 Sunshine and 200 classic cars were on tap for the Car Club Showcase, held at the Port Royal Golf Club on Saturday. 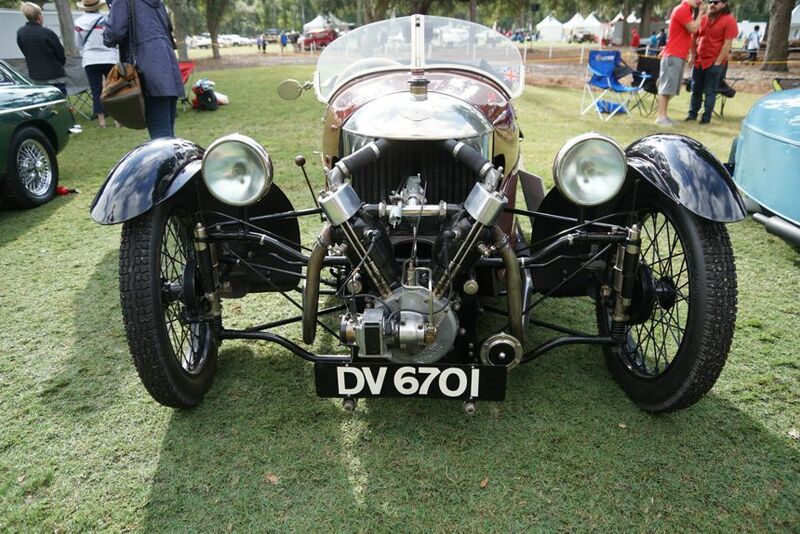 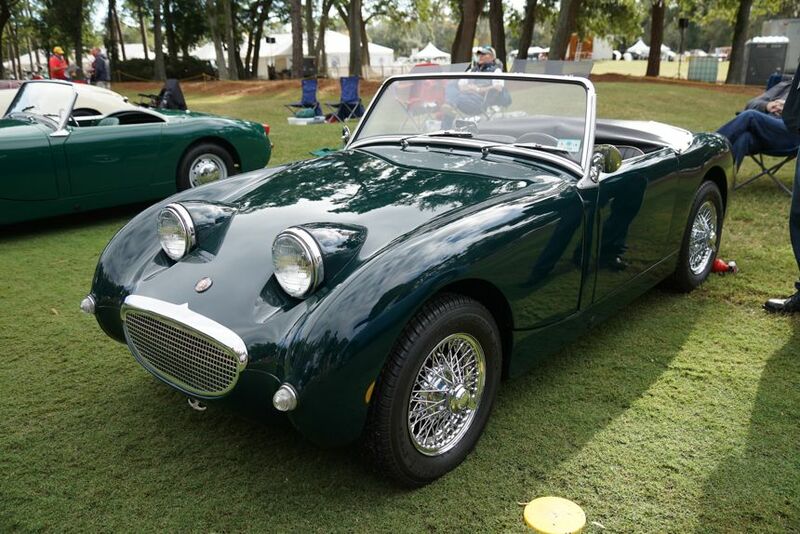 Sunbeams, Tigers, and Allards were some of the featured cars in the more than 20 car clubs that were in attendance. 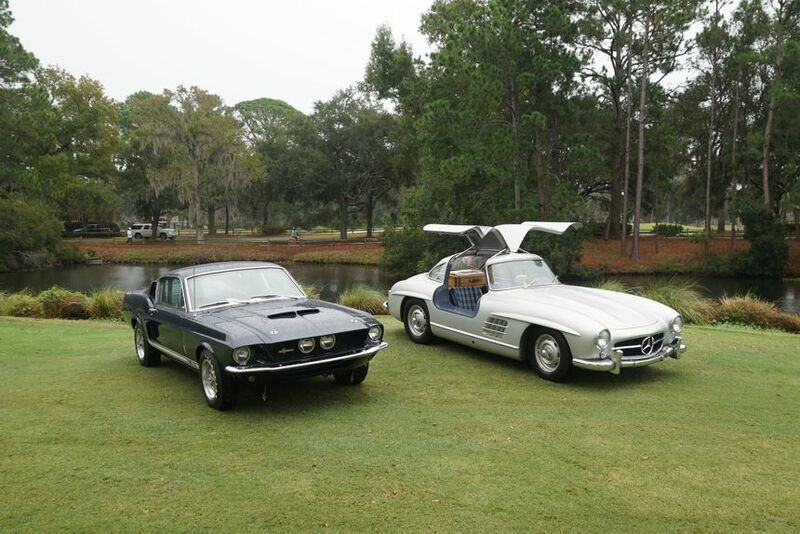 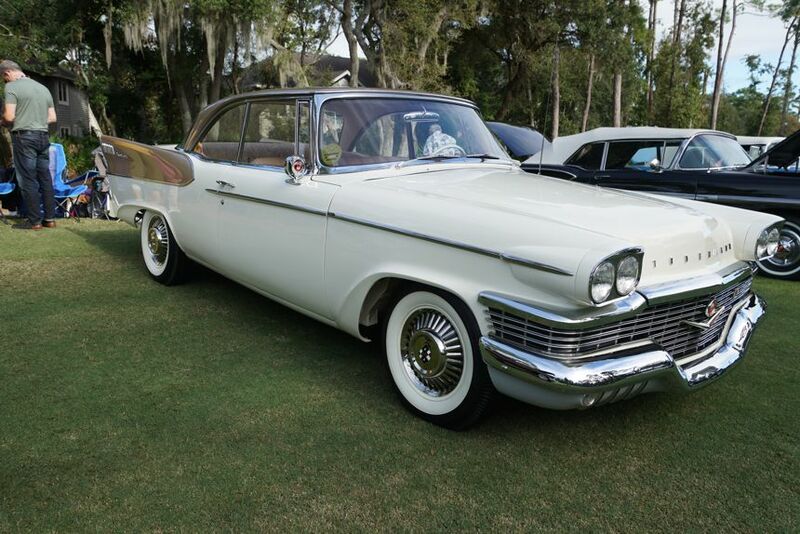 Here are some of the cars that graced the 1st and 18th fairways. 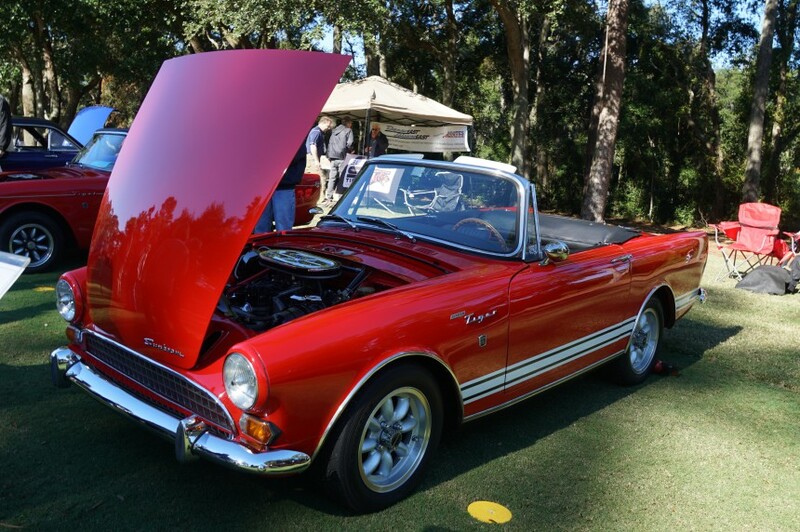 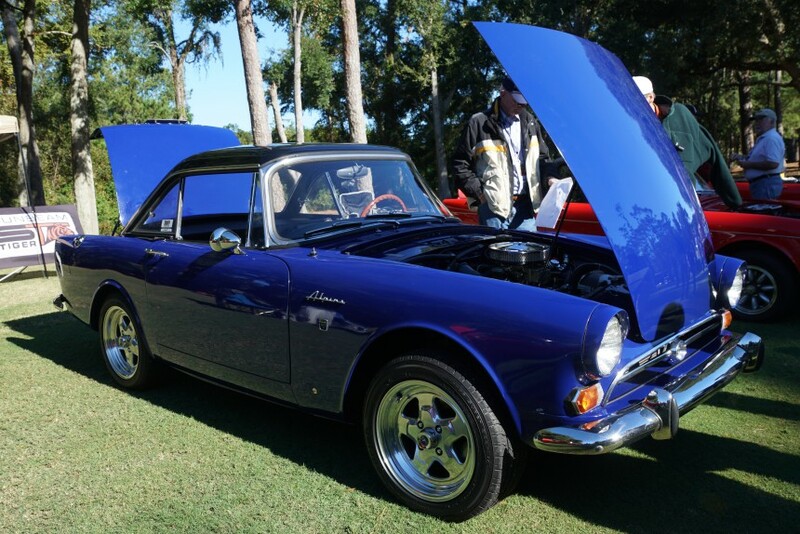 1967 Sunbeam Tiger Mark II"
A purpose-built road course, originally designed for Indy car racing, is located across the river from Savannah, GA, on Hutchinson Island. 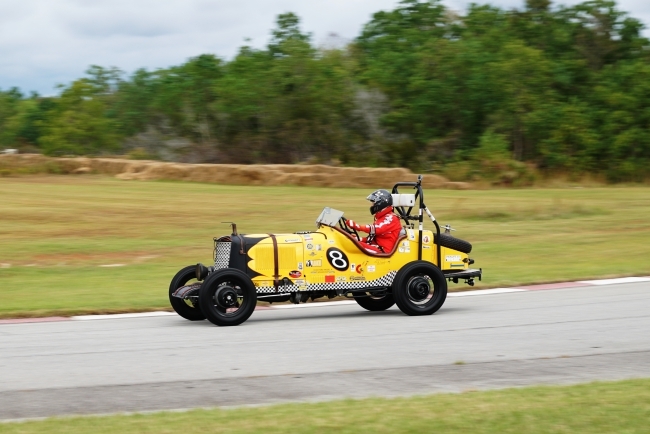 In 1997, this race track held the Dixie Crystals Grand Prix, where a young and little known (at the time) Brazilian, named Hélio Castroneves, took the checkered flag. 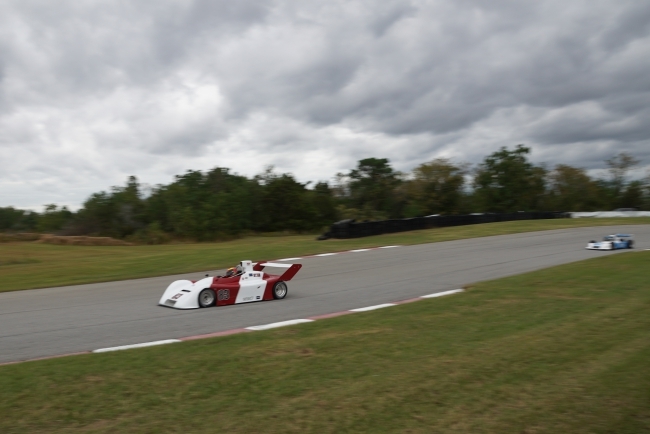 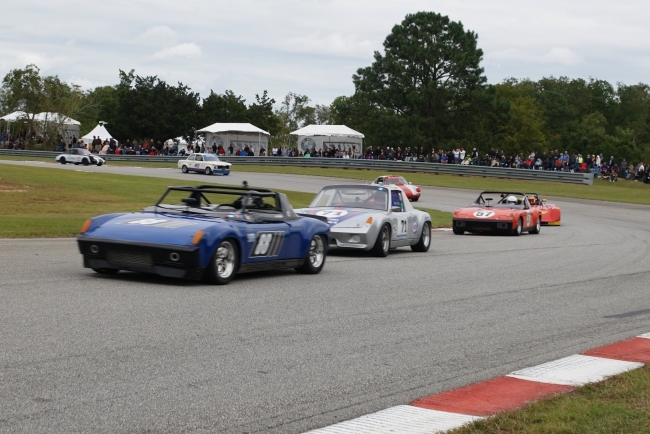 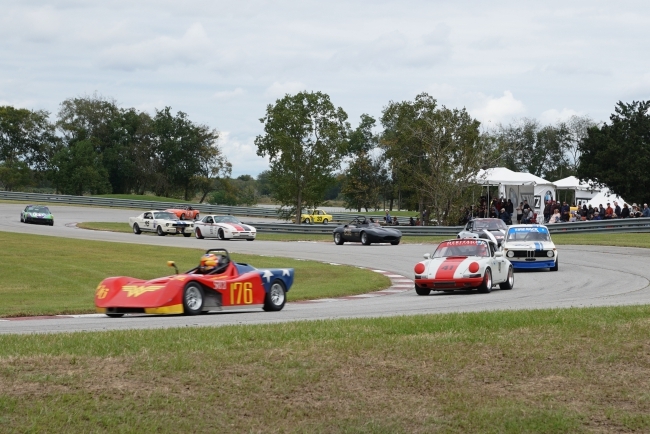 The track closed shortly after this initial race, not reopening until 2010, but today it’s the home of the annual Savannah Speed Classic, now in its 5th year. 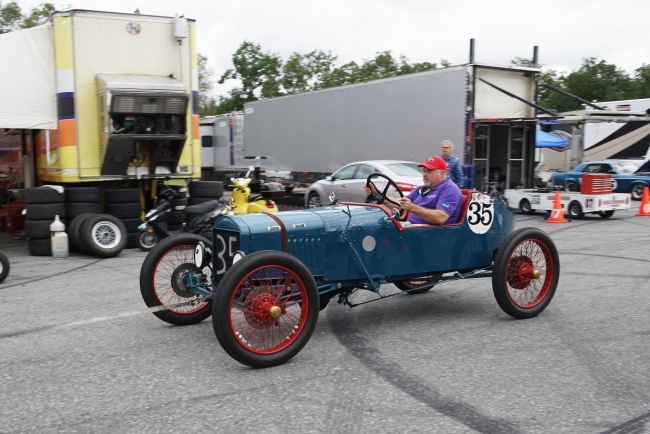 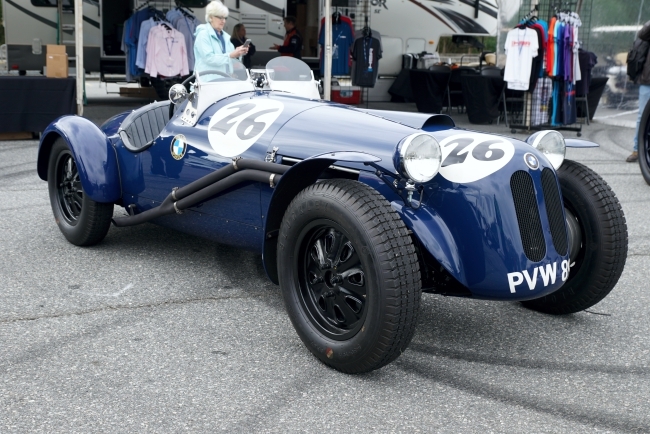 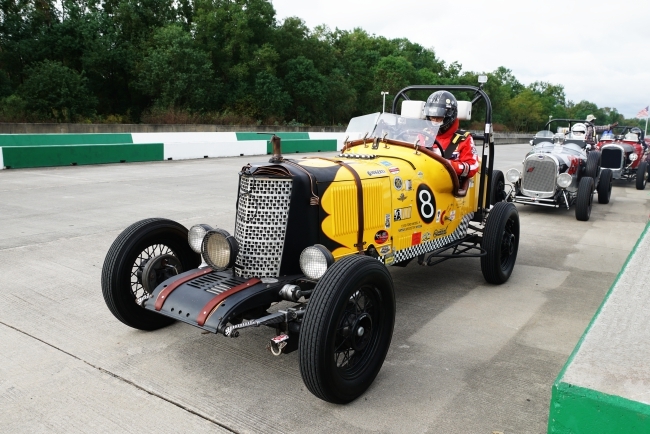 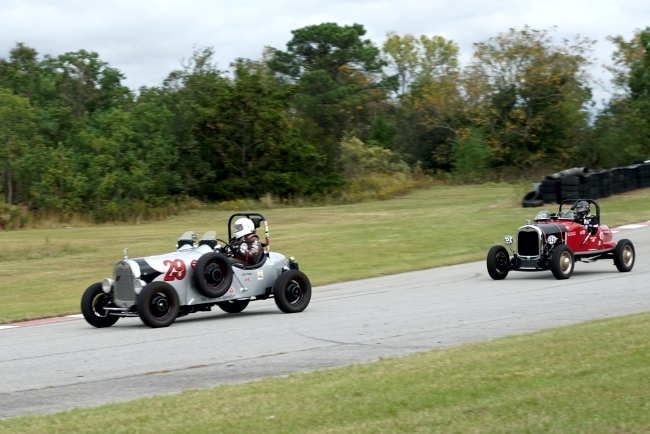 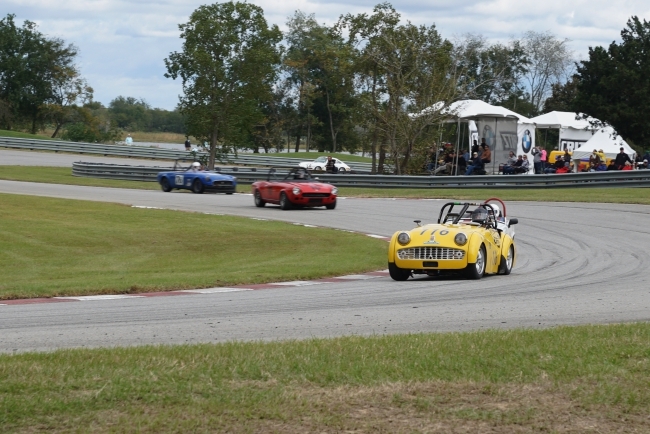 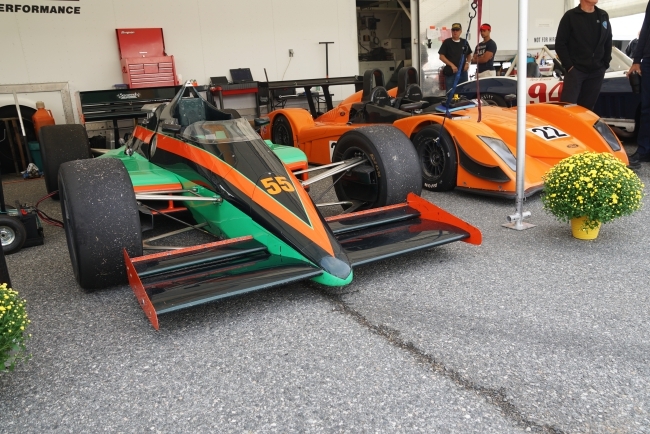 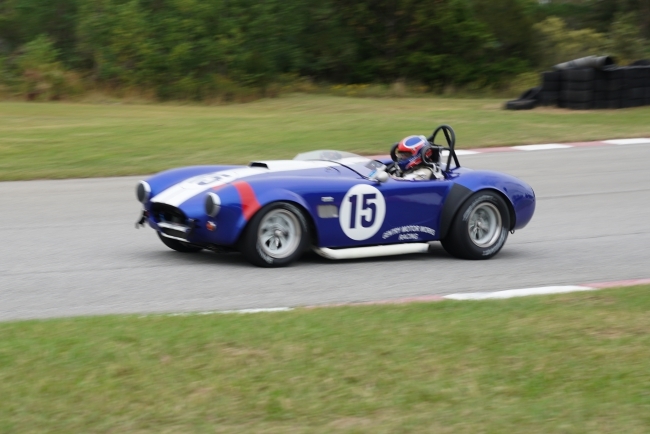 This year’s Speed Classic featured a group of pre-war speedsters, sports cars, open wheel, and big bore cars. 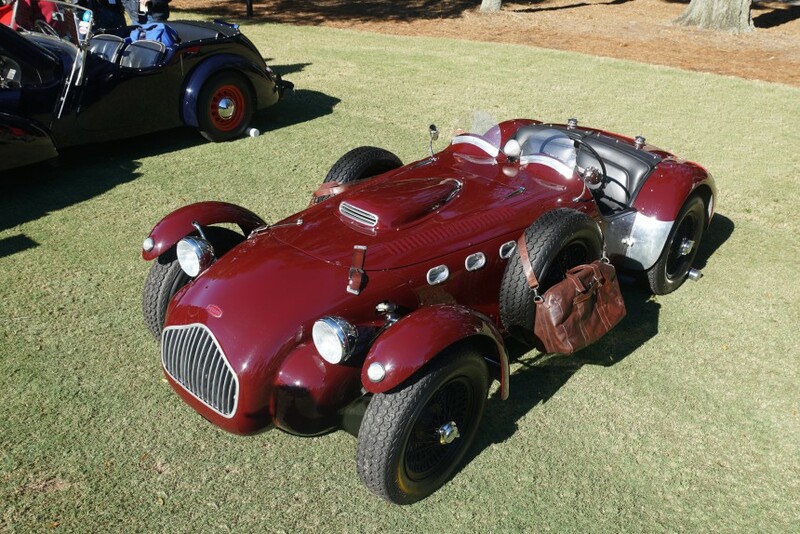 To see these colorful machines in a museum would be quite a treat, but having the opportunity to see them in motion, doing what they were designed to do, was truly special. 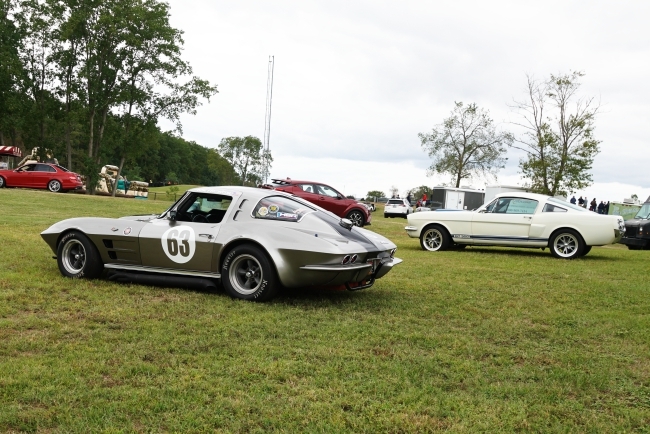 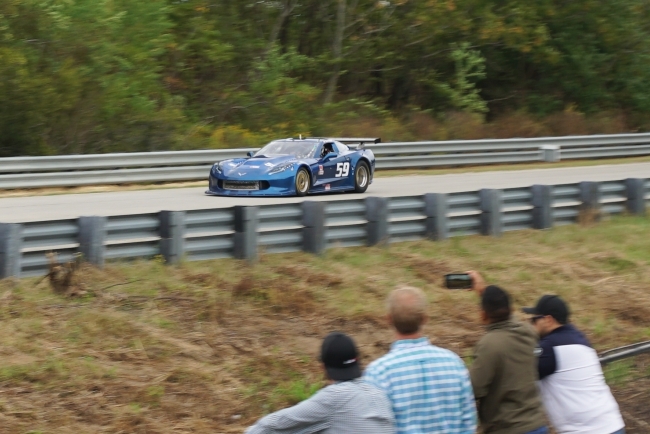 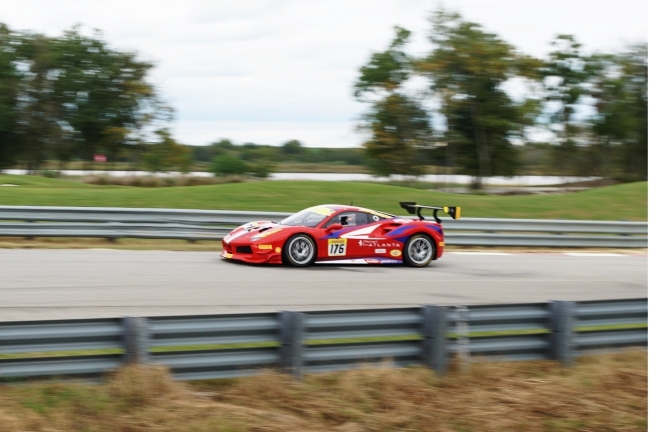 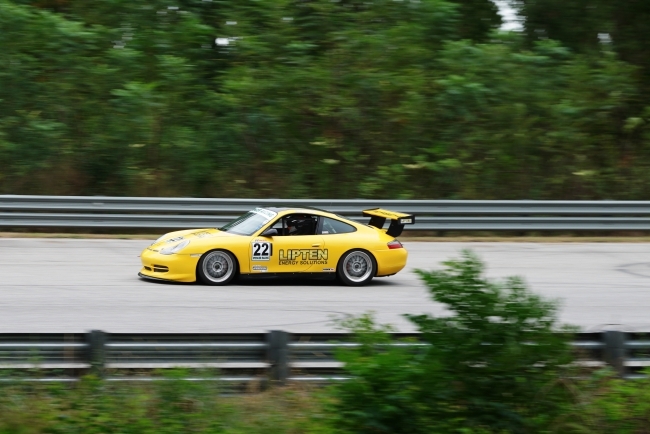 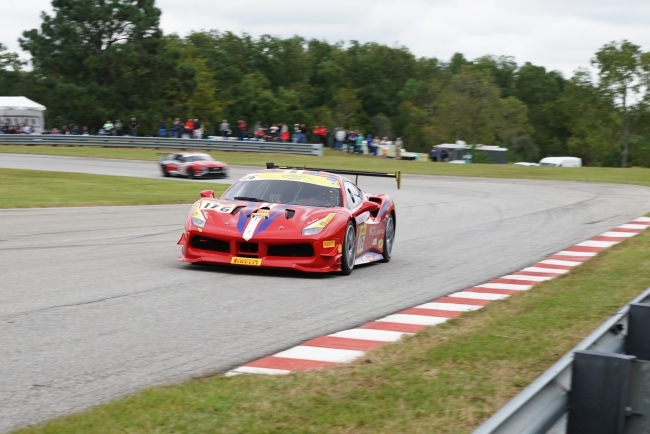 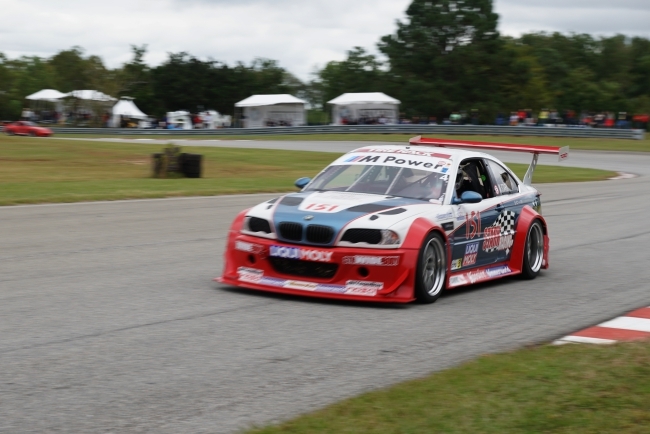 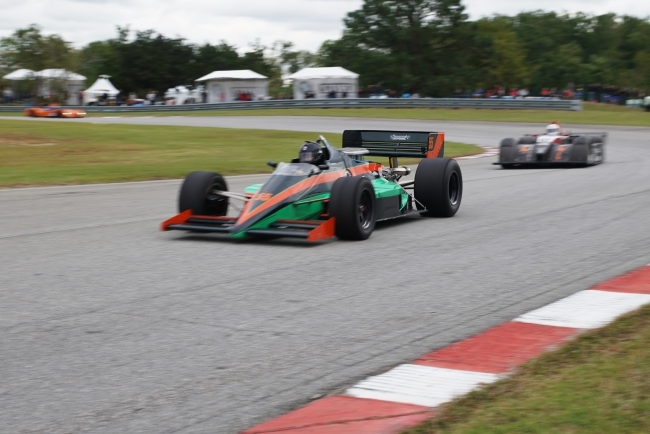 The organizer of this event, HSR, holds events like this across the country to promote competitive races featuring historic sports cars, and to “celebrate the race cars from our past.” Here is a glimpse of the sights (and sounds) of this weekend’s Speed Classic.